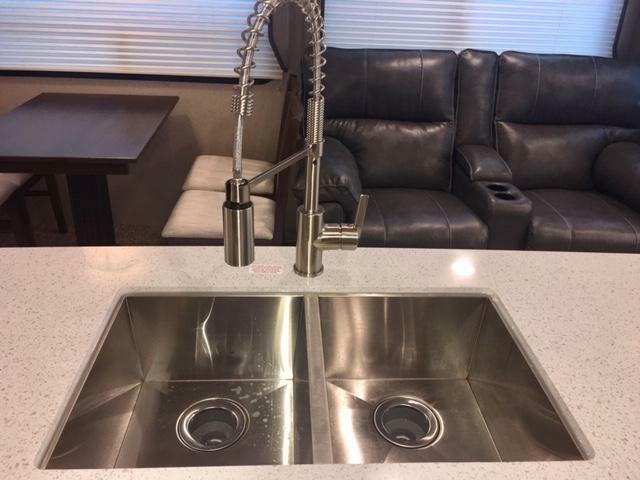 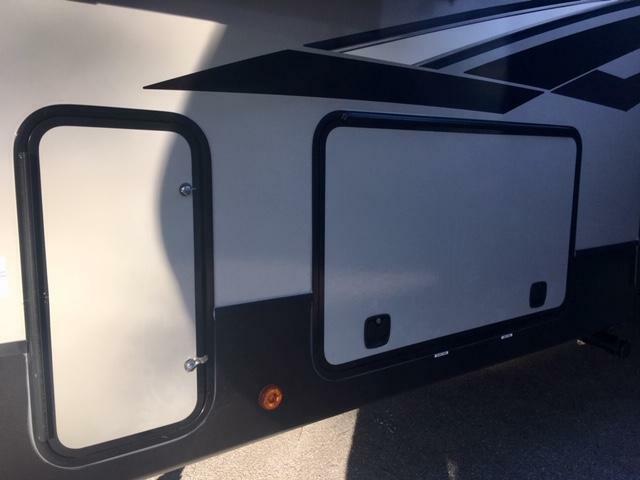 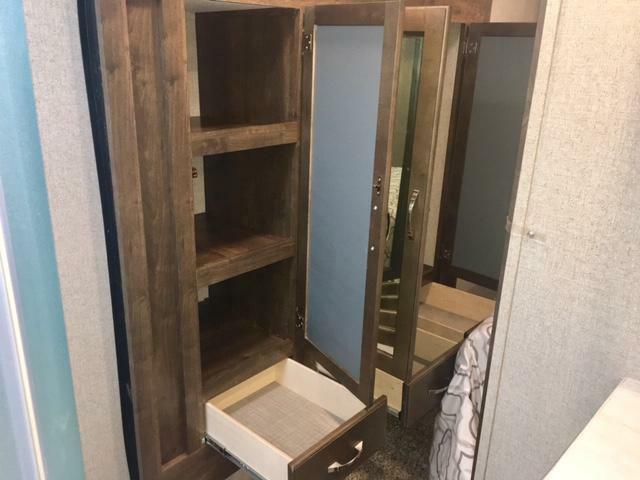 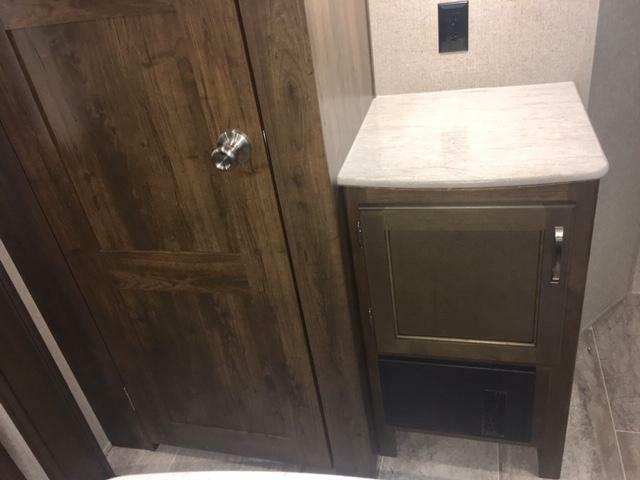 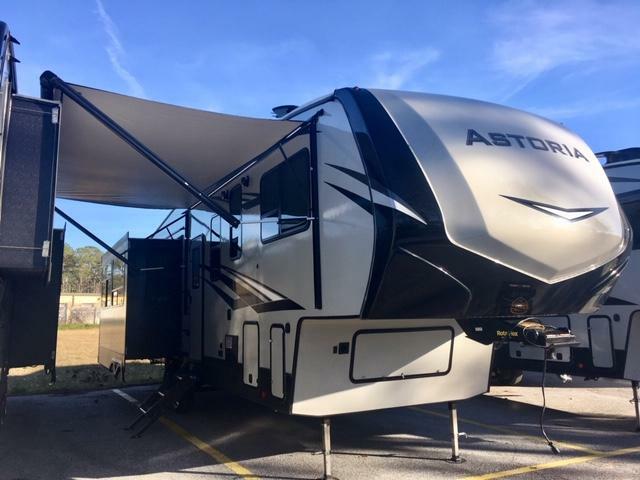 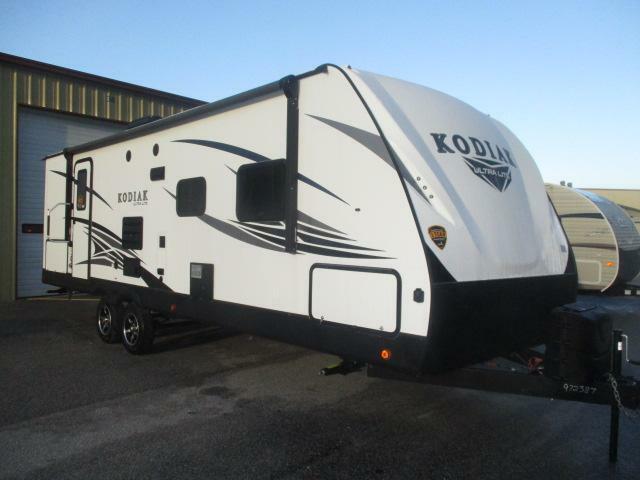 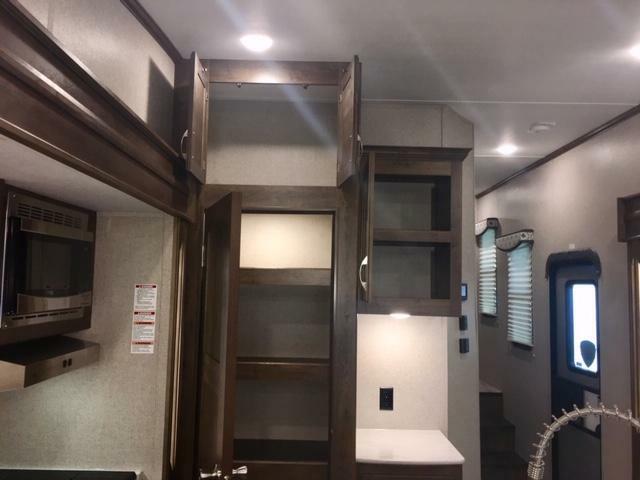 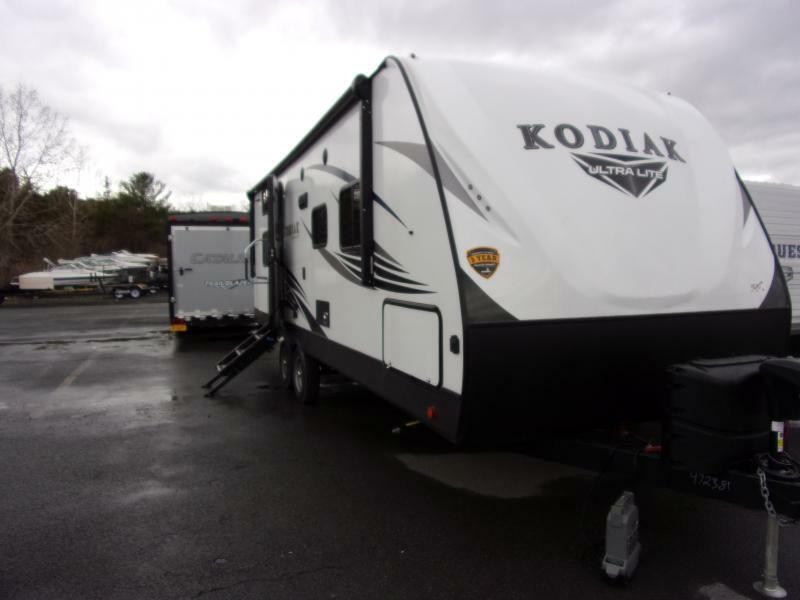 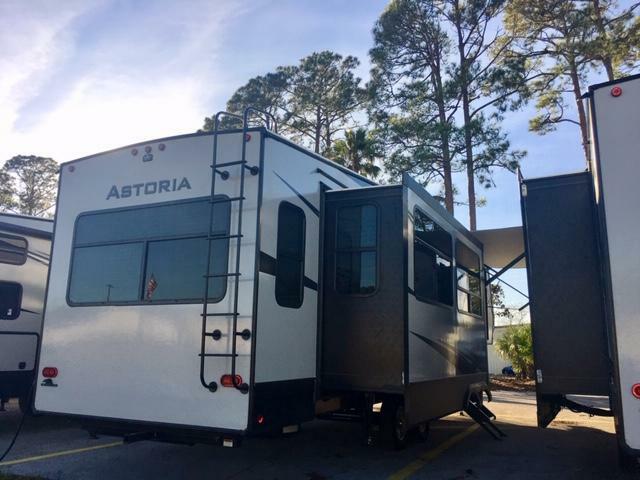 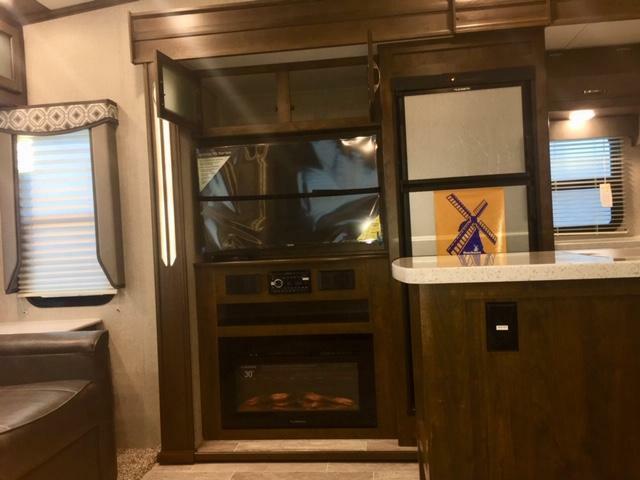 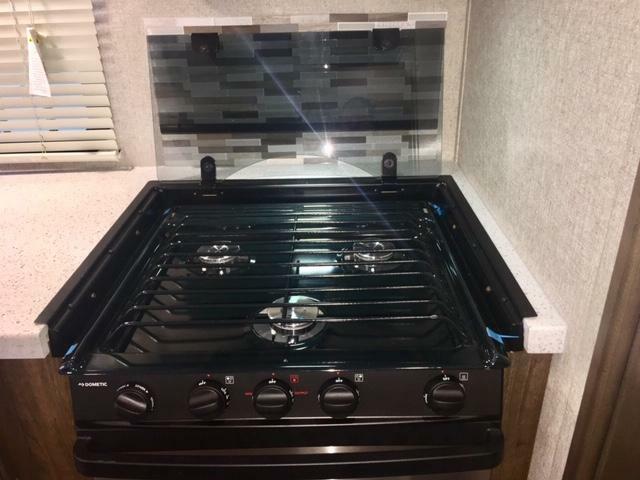 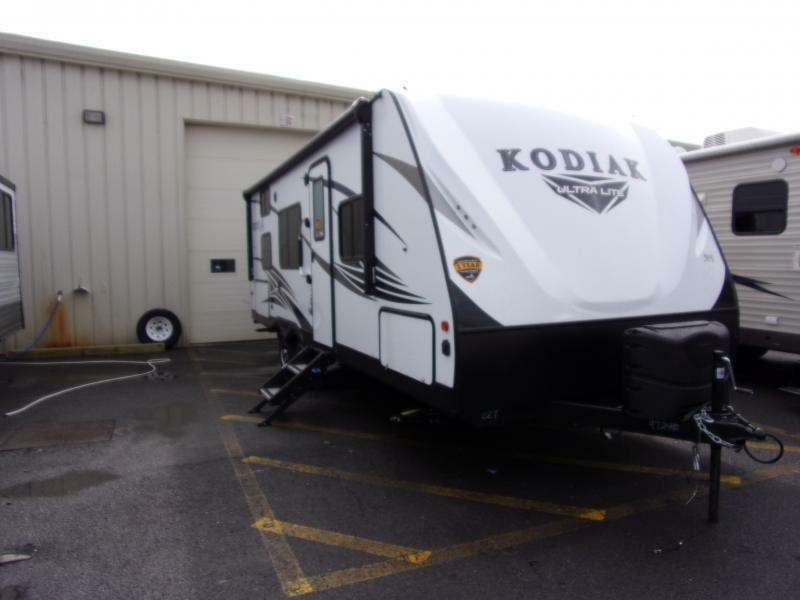 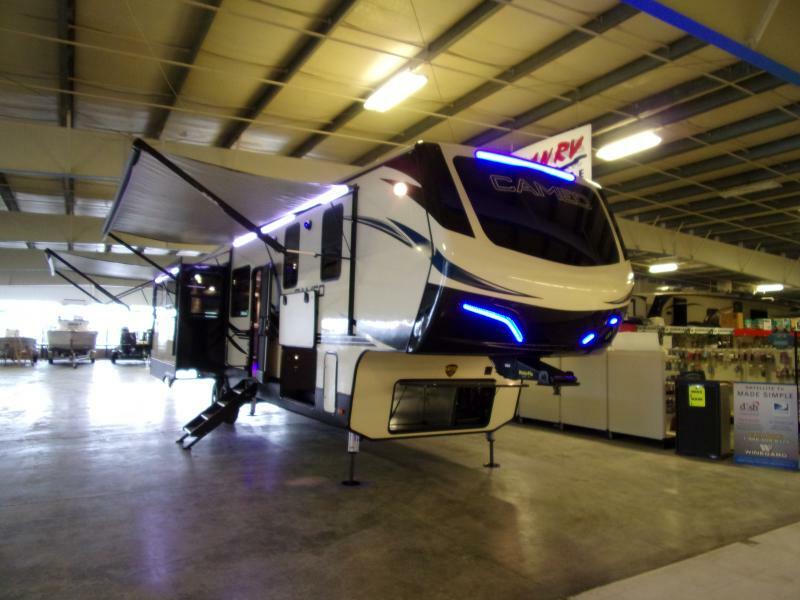 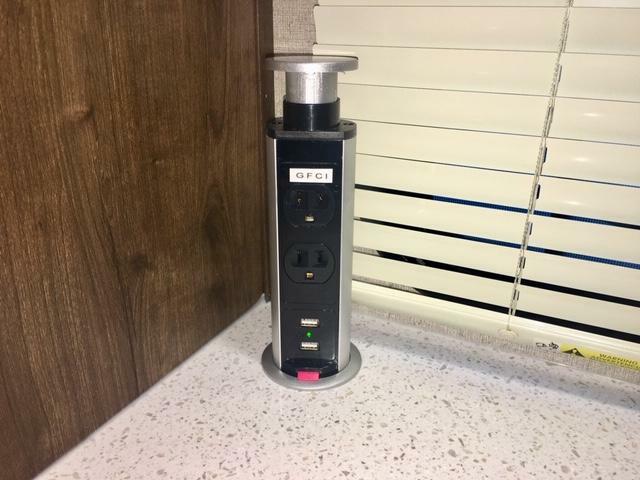 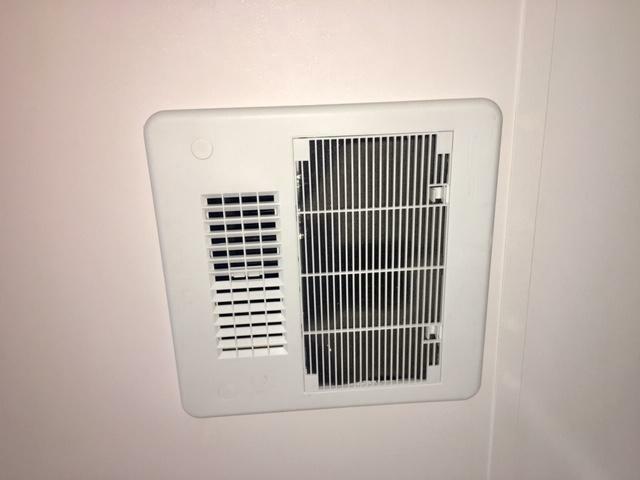 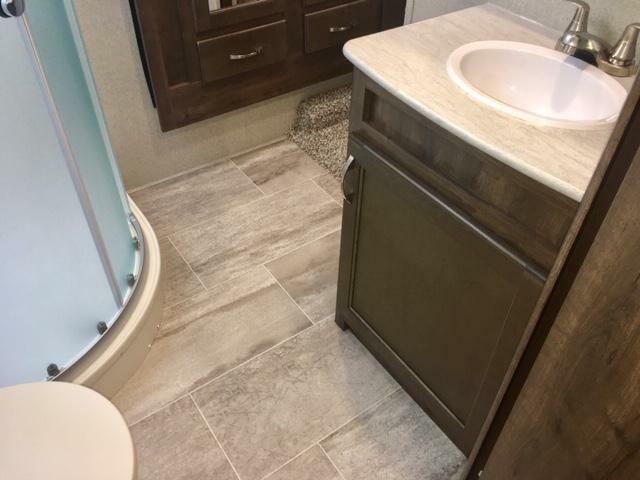 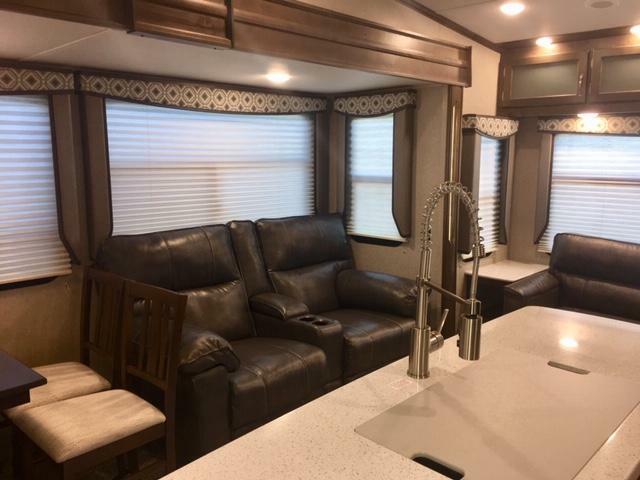 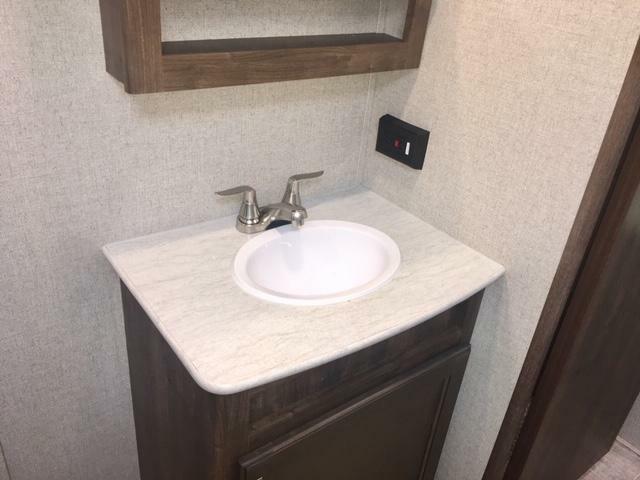 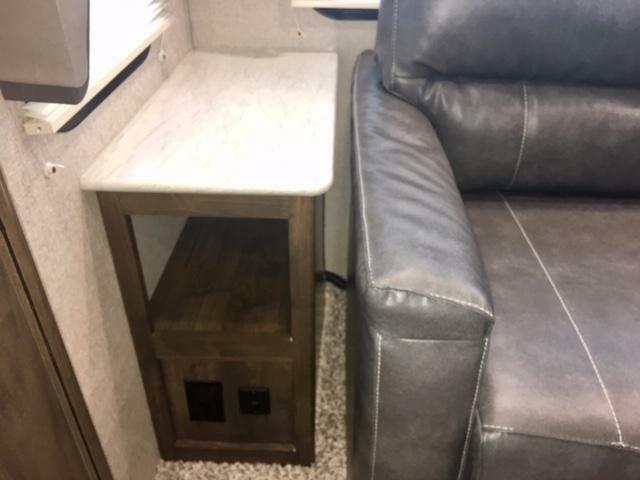 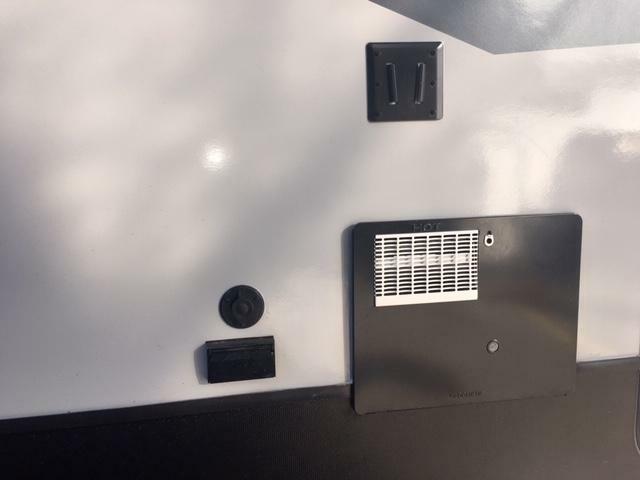 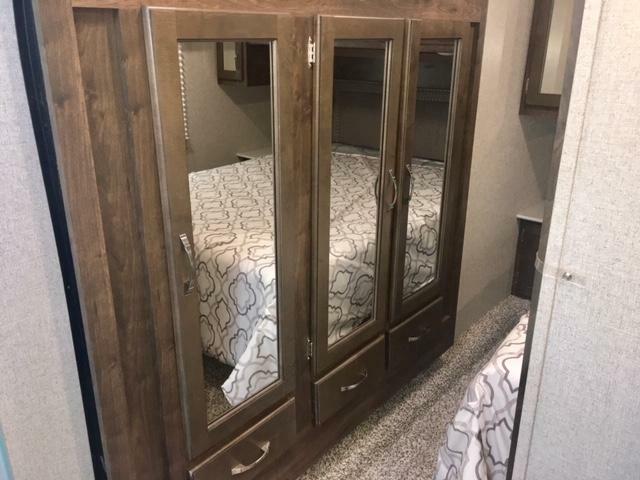 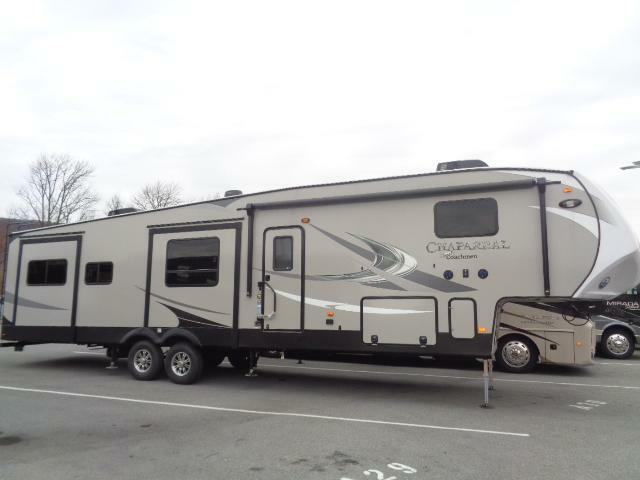 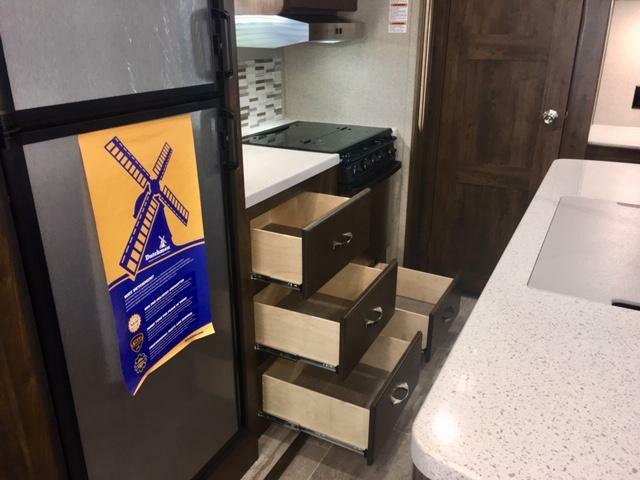 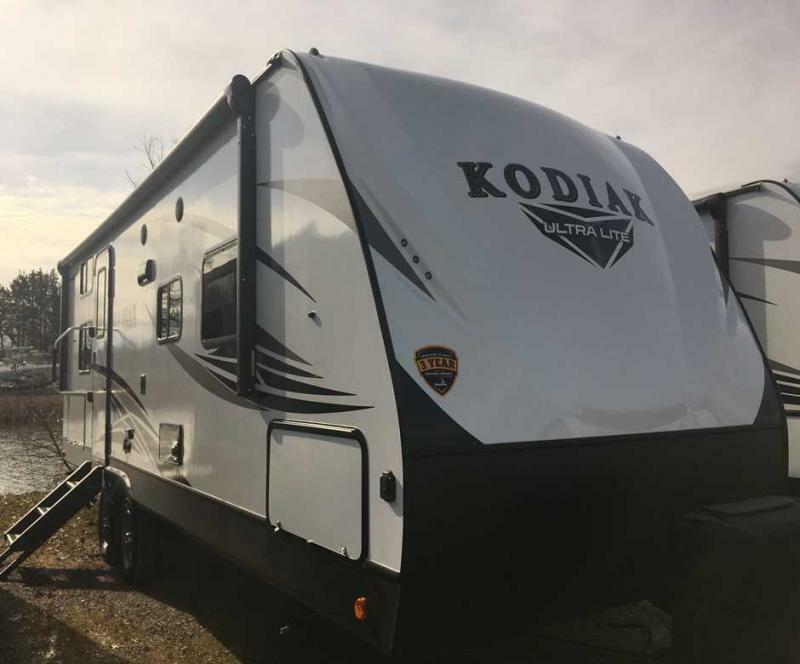 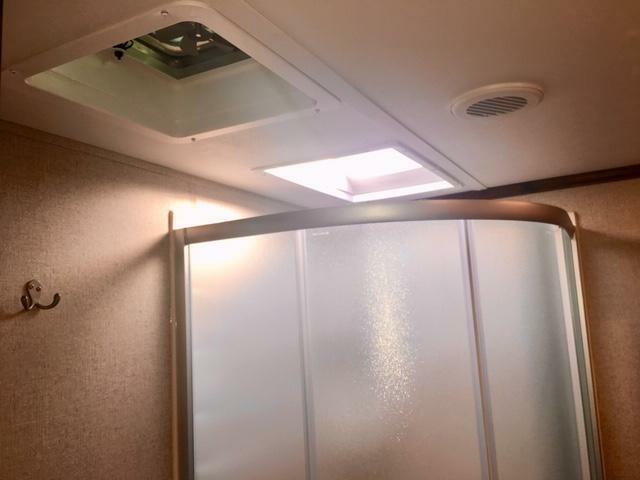 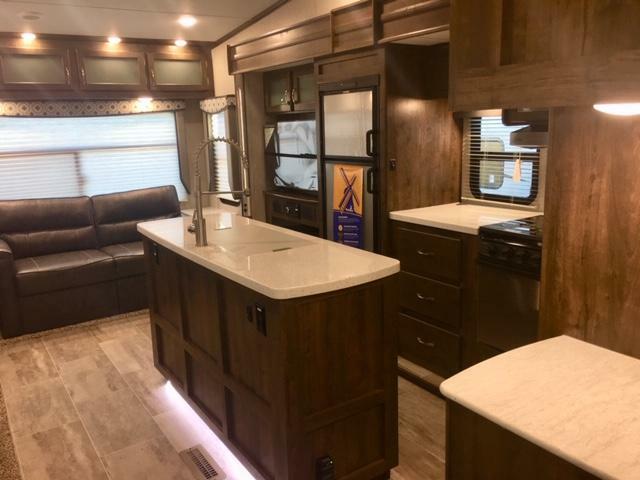 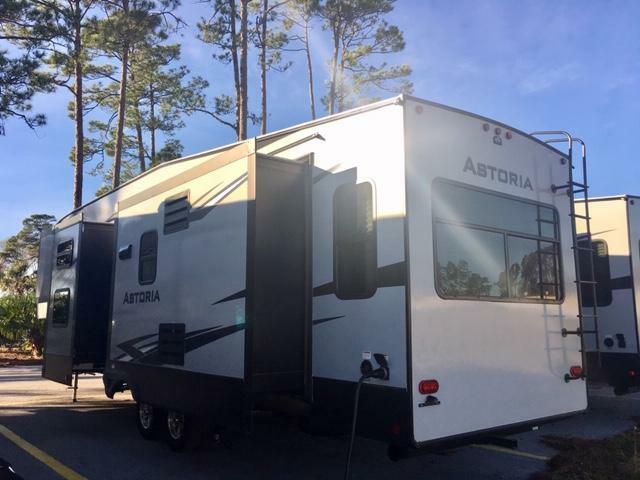 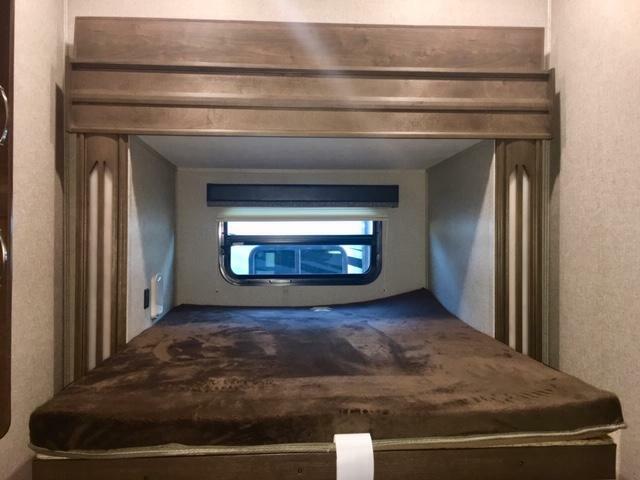 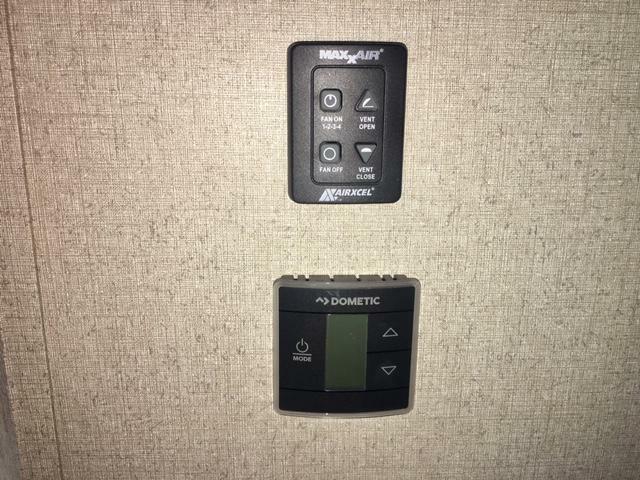 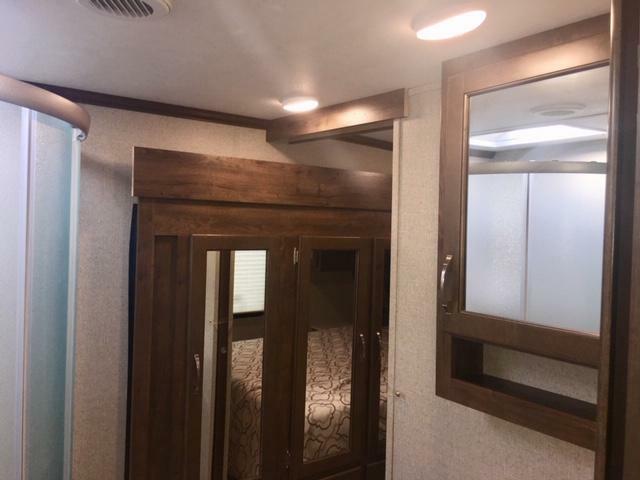 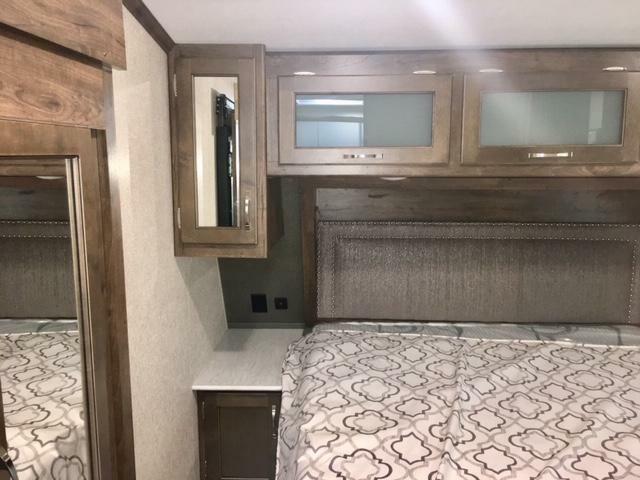 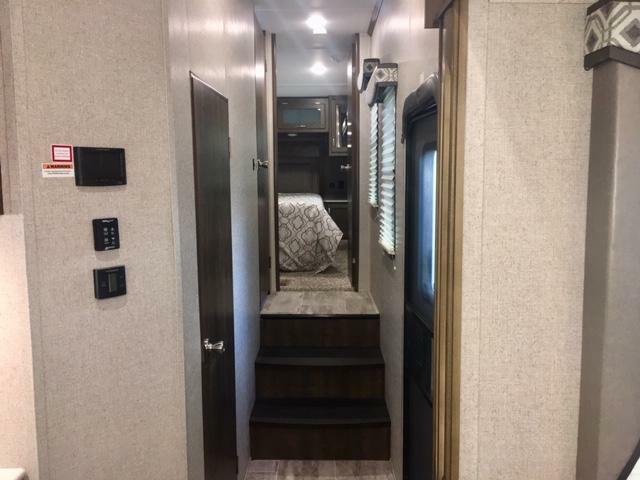 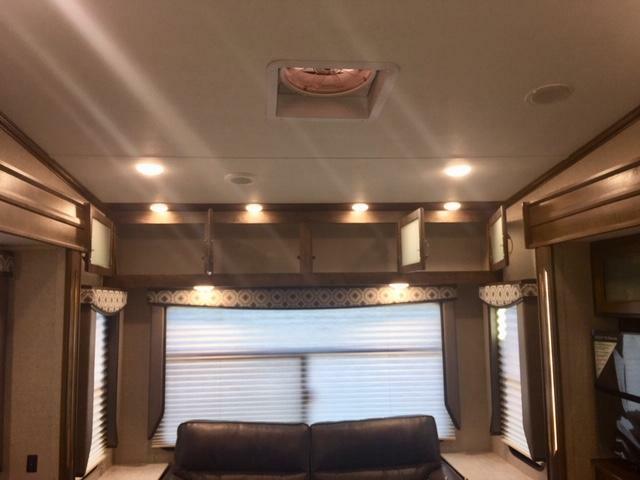 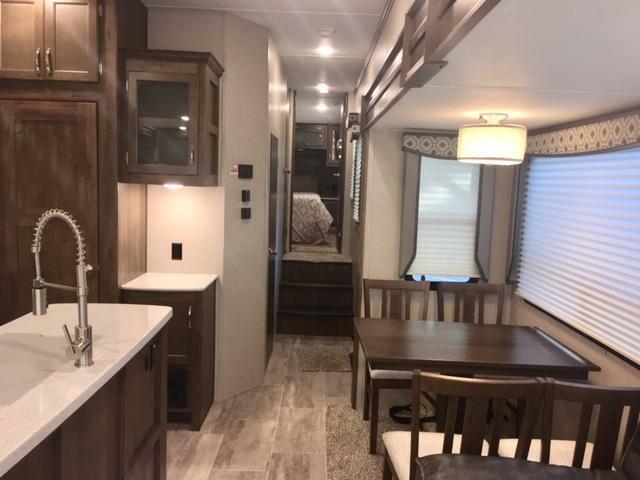 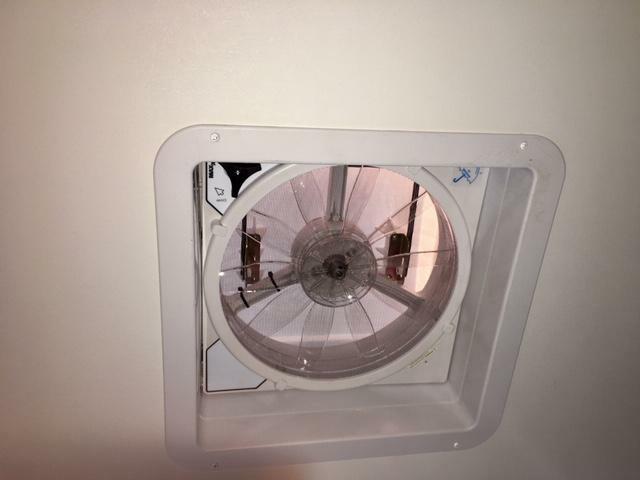 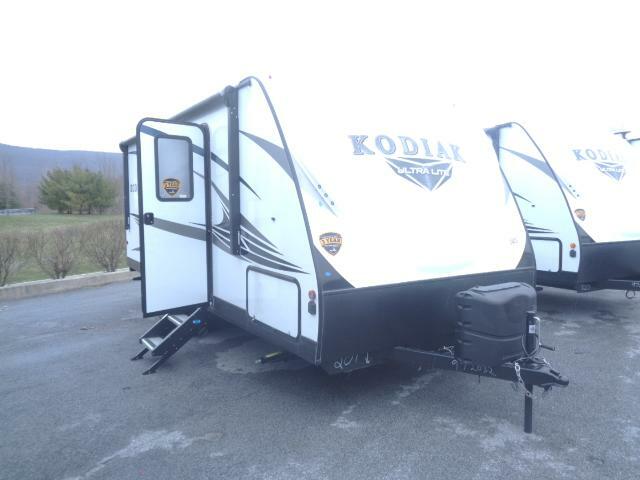 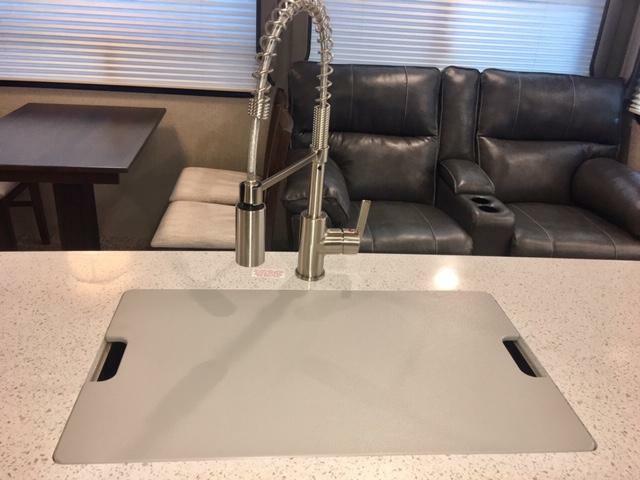 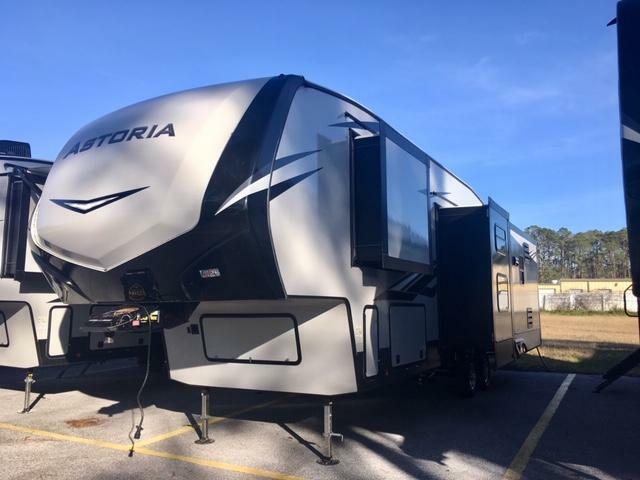 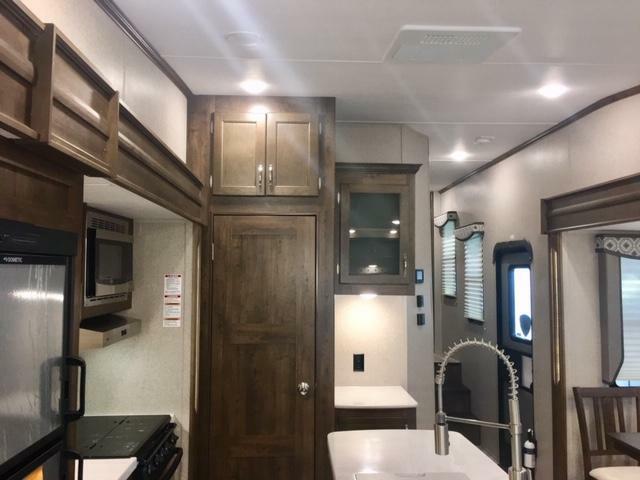 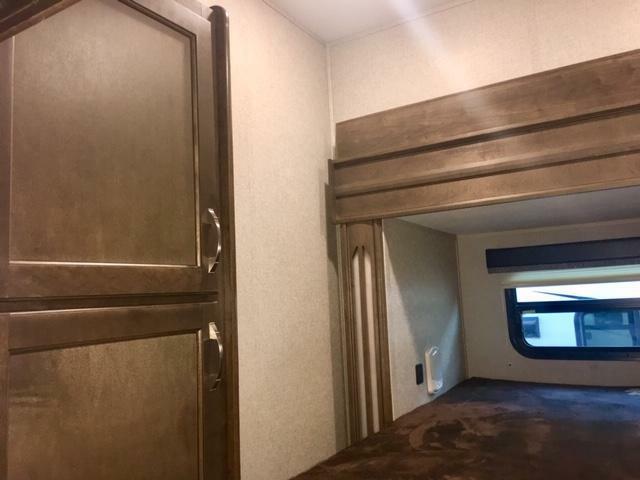 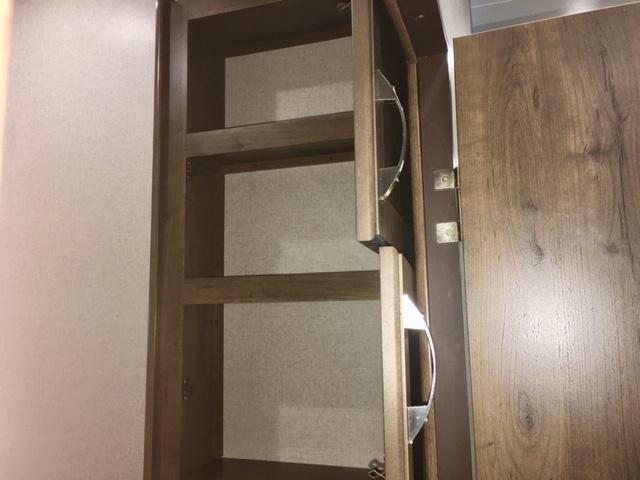 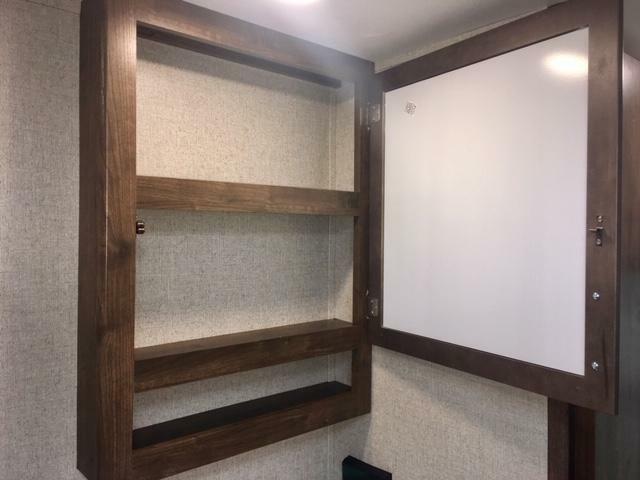 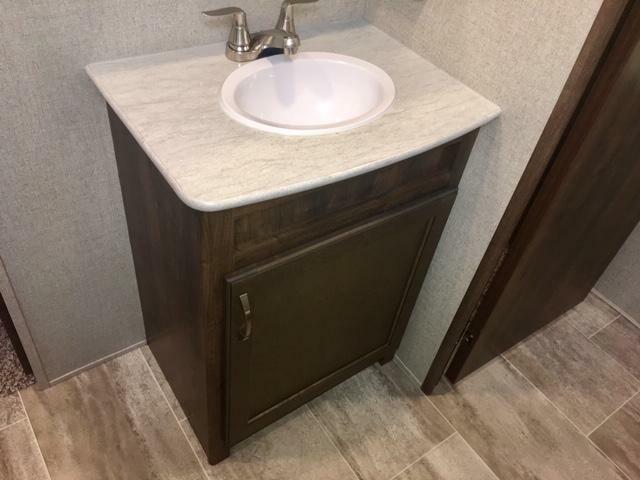 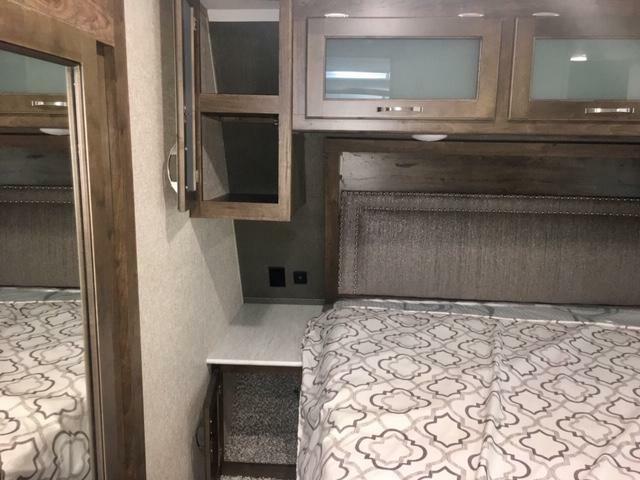 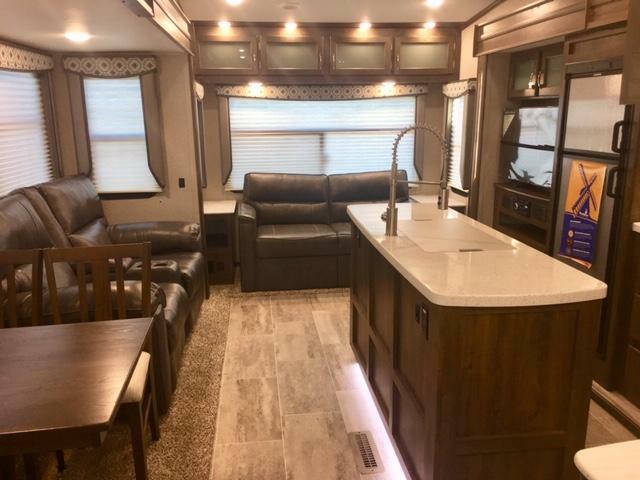 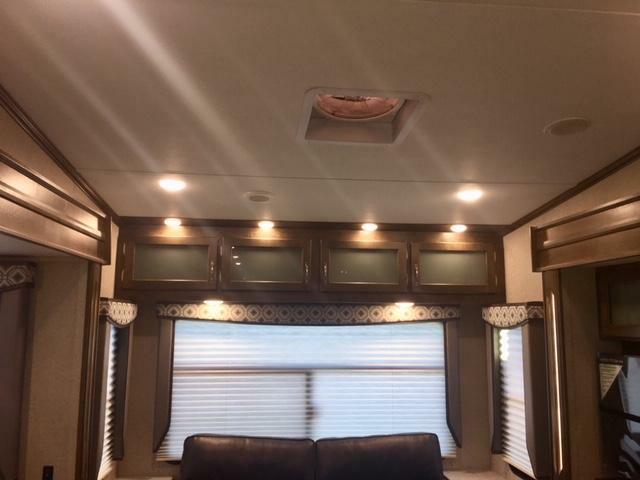 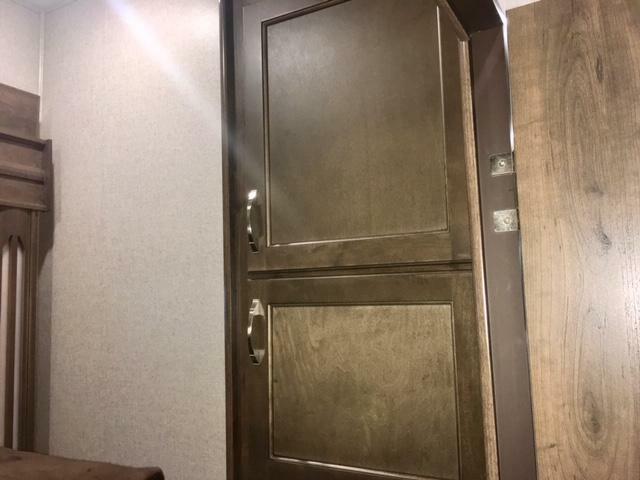 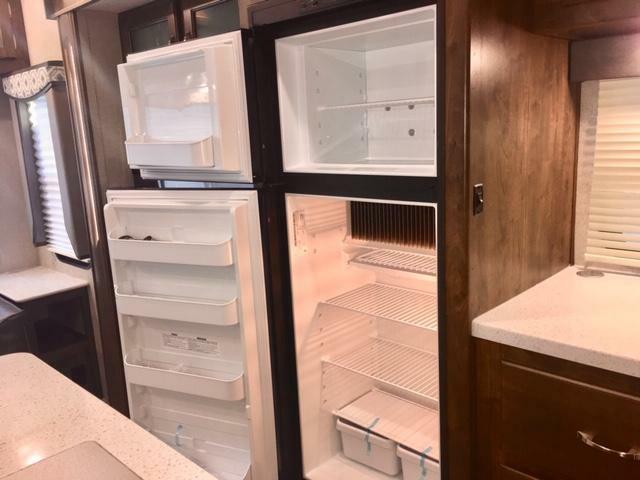 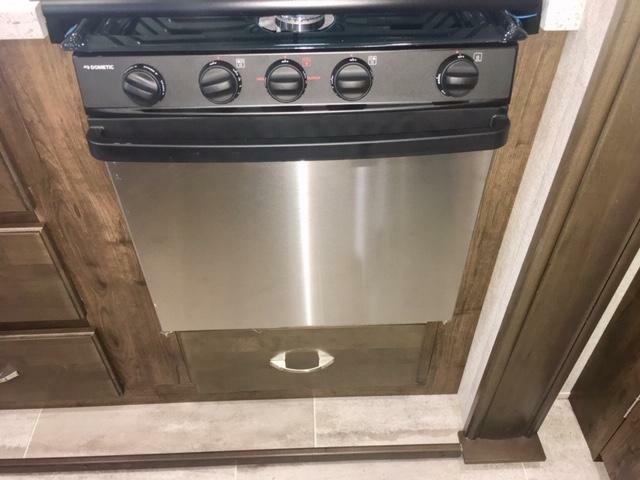 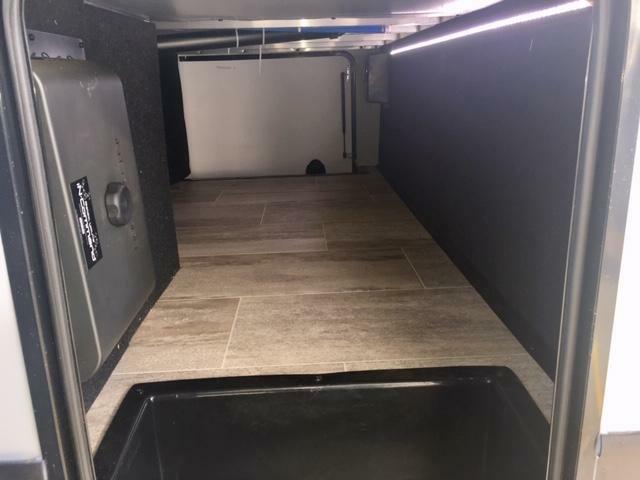 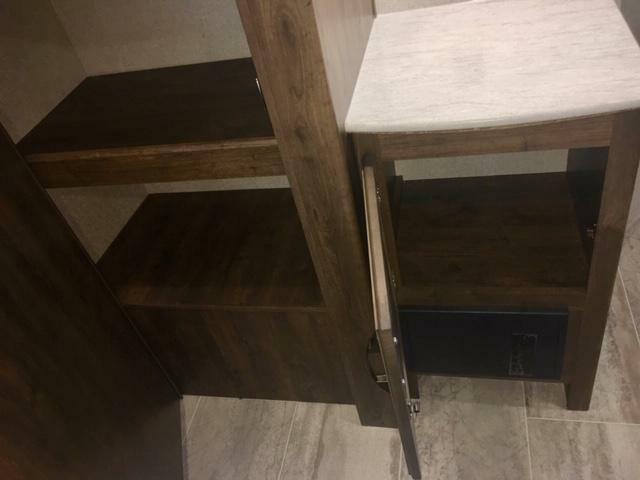 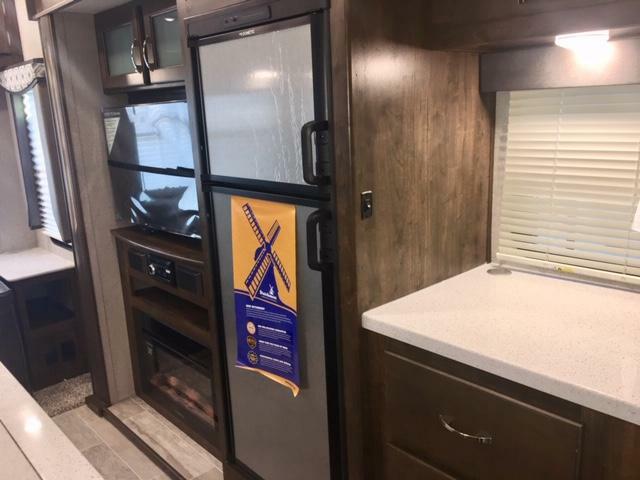 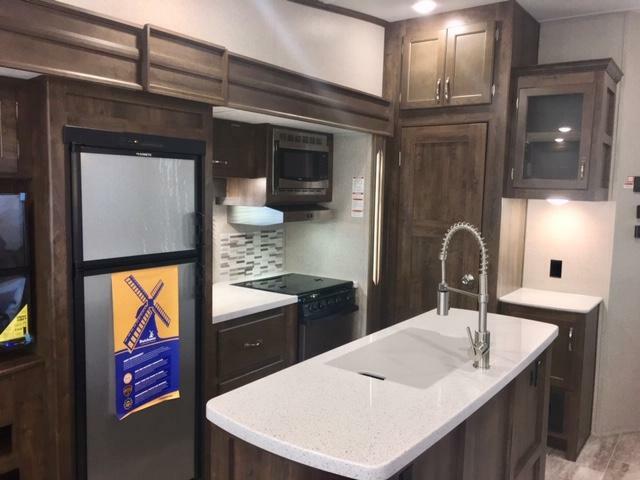 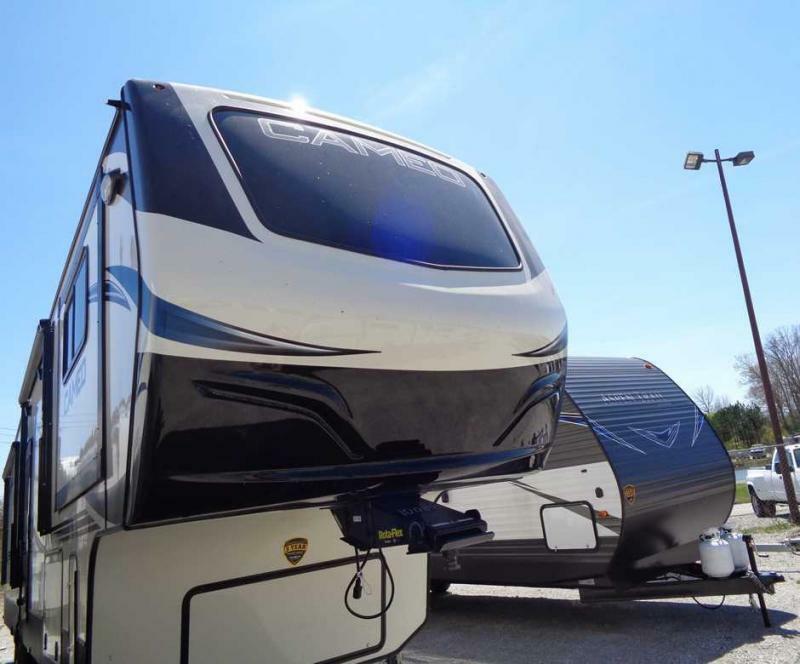 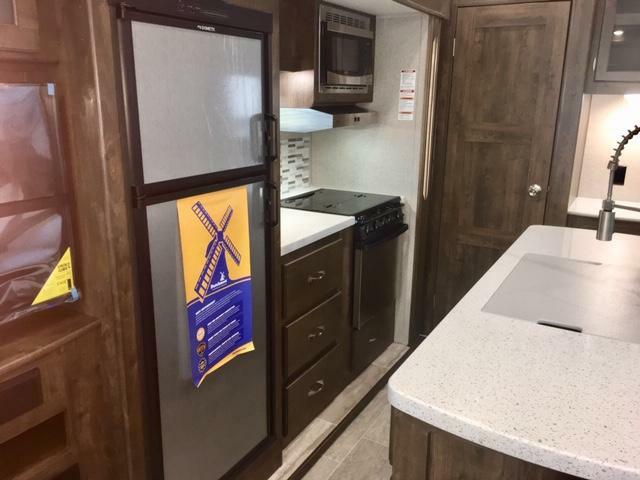 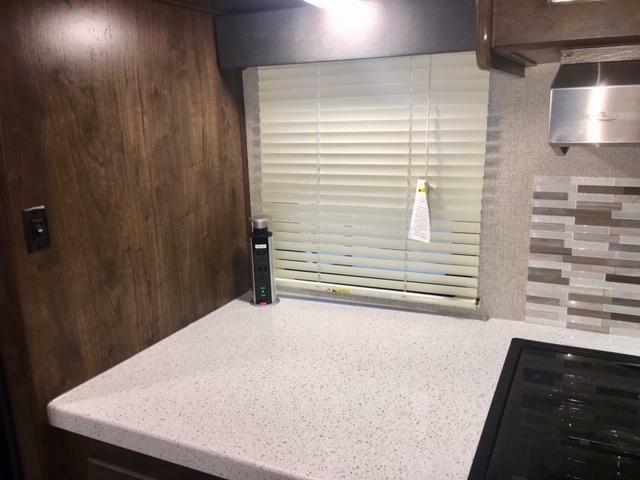 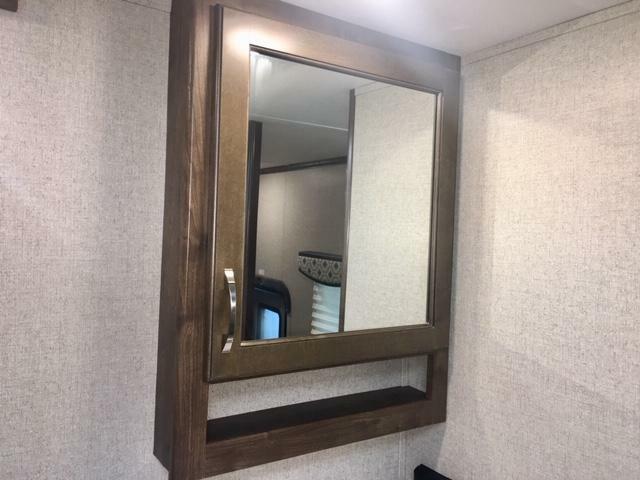 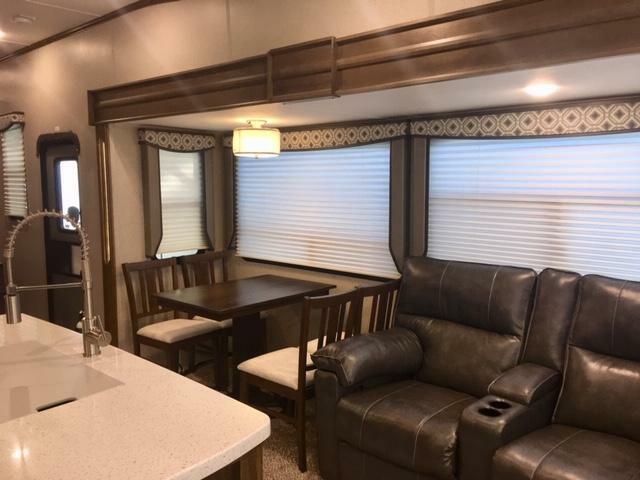 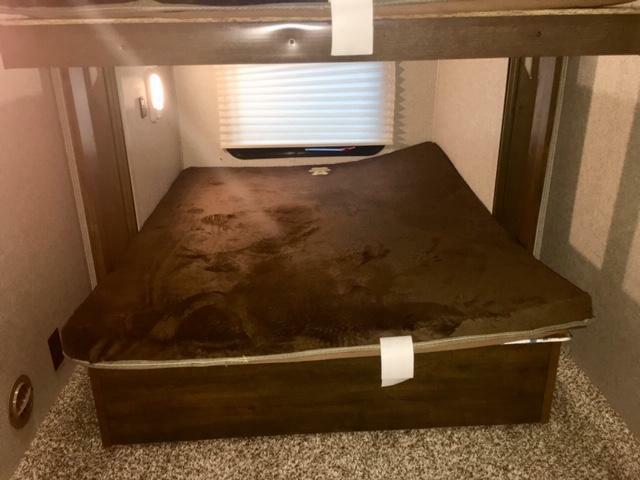 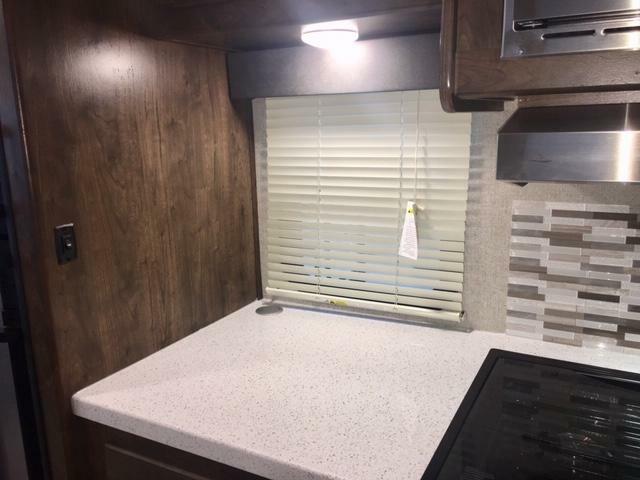 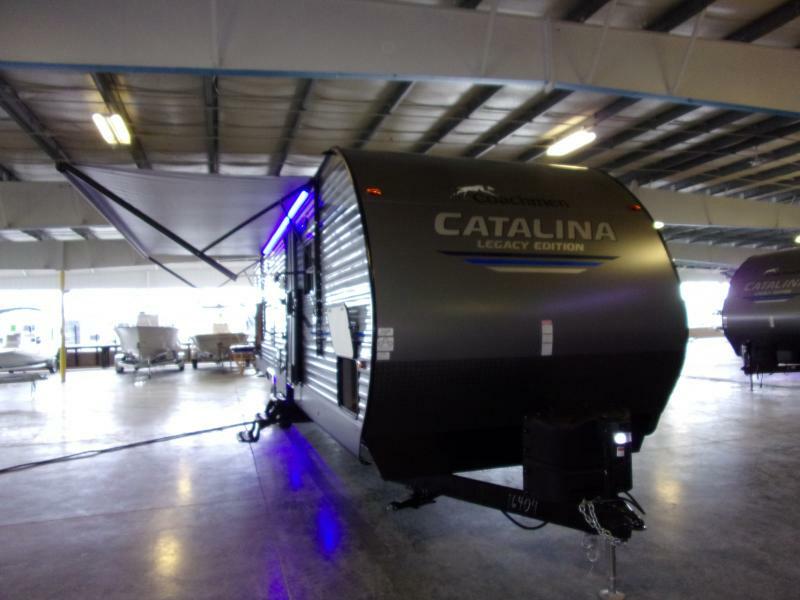 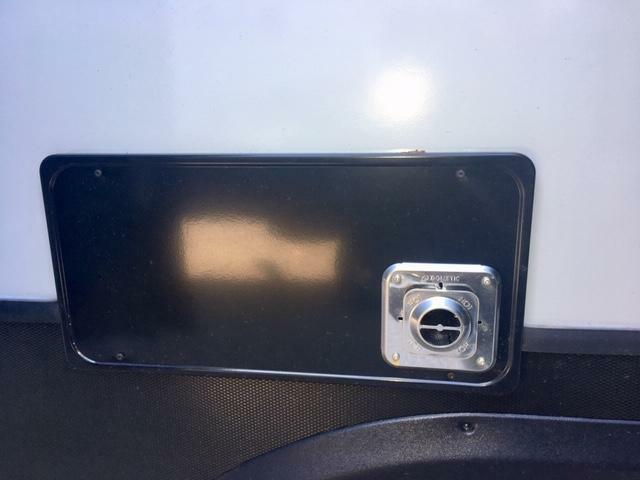 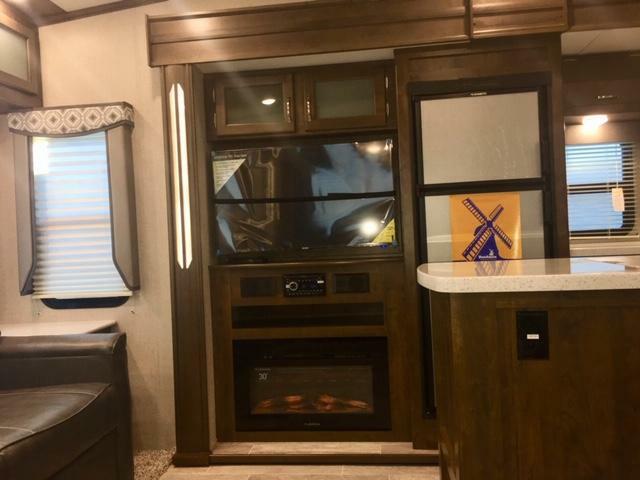 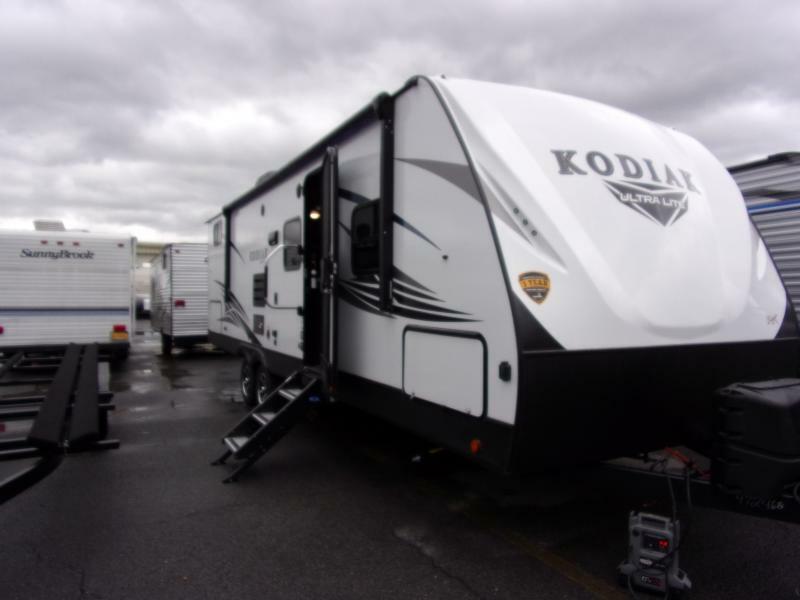 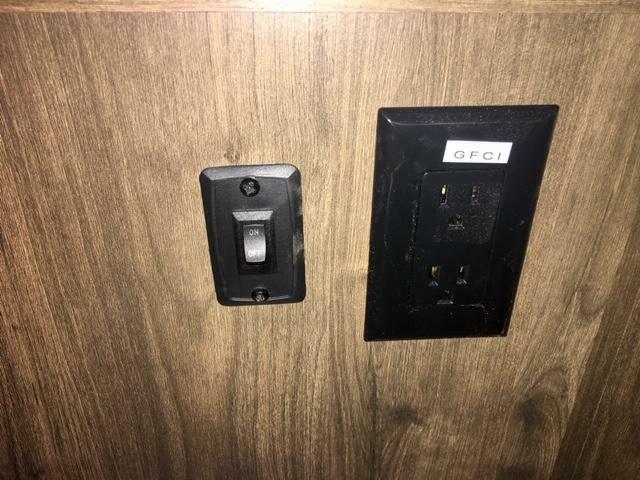 How does dual slide outs in the main living and kitchen area, a slide out in the bunkhouse, plus a slide out in the master bedroom and bath sound in your next Dutchmen Astoria fifth wheel by Aerolite? 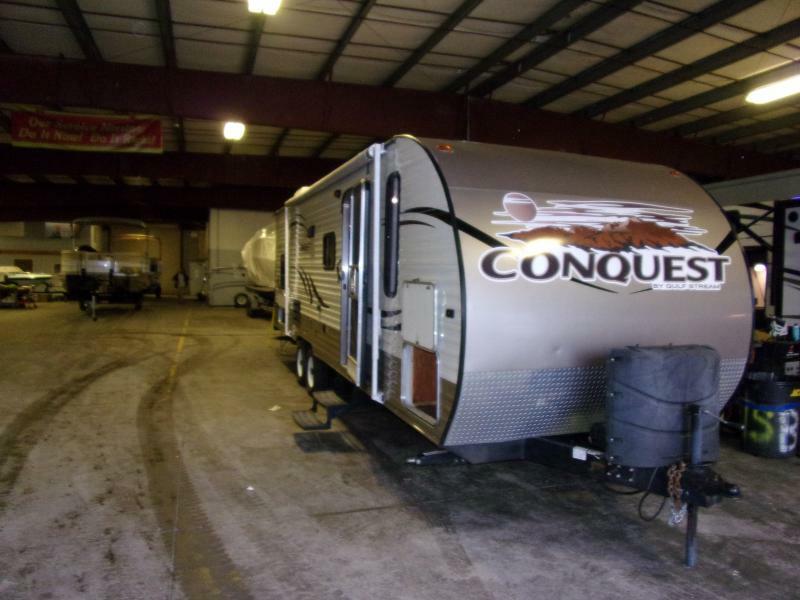 The centrally located bunkhouse will surely be the kids favorite place! 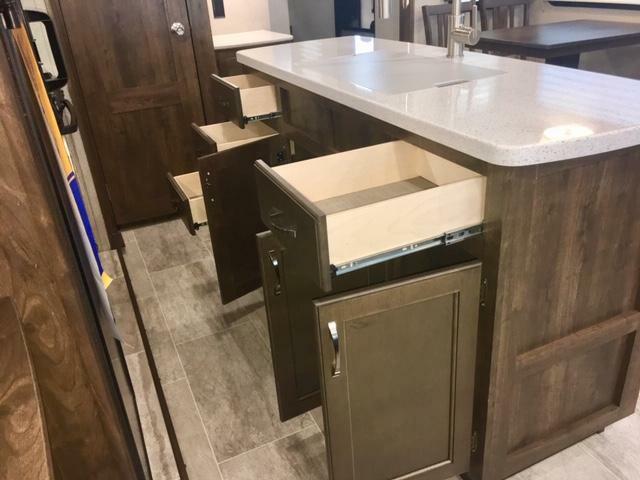 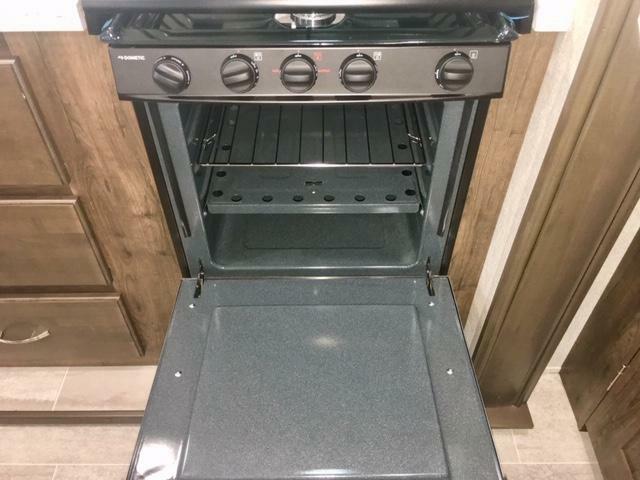 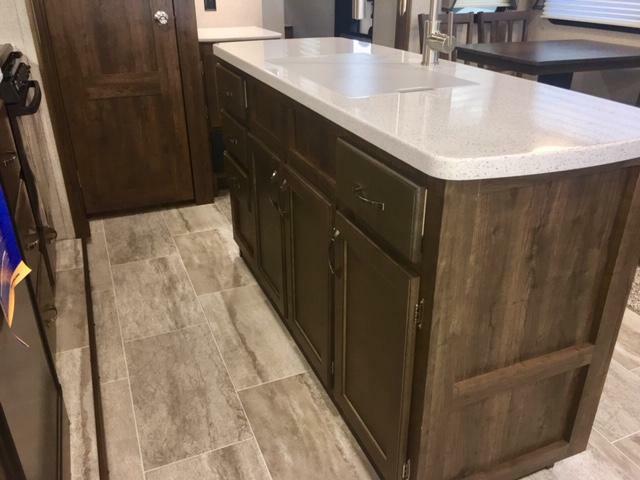 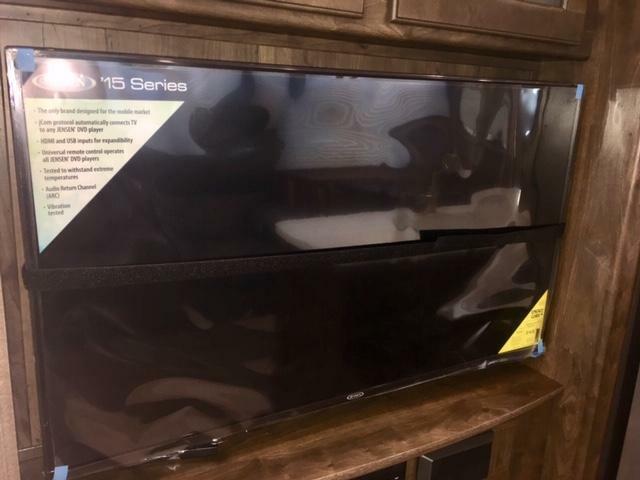 Model 3273MBF also offers a kitchen island for the cook in the family to enjoy preparing and serving meals, as well as washing dishes all while visiting with the whole gang. 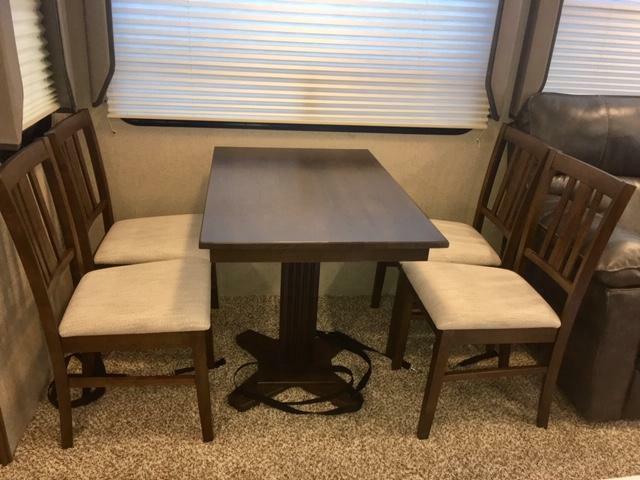 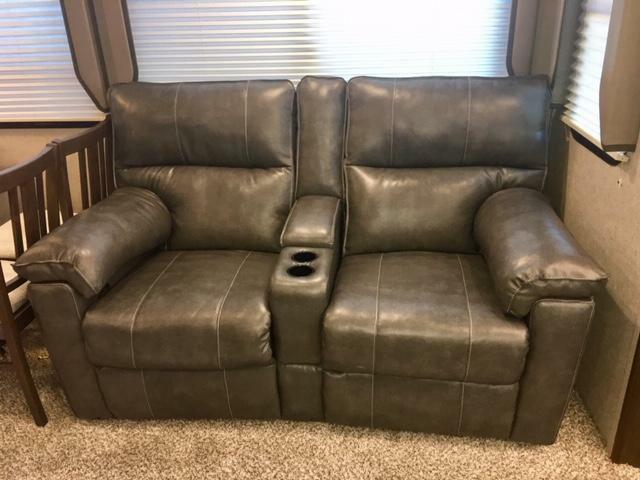 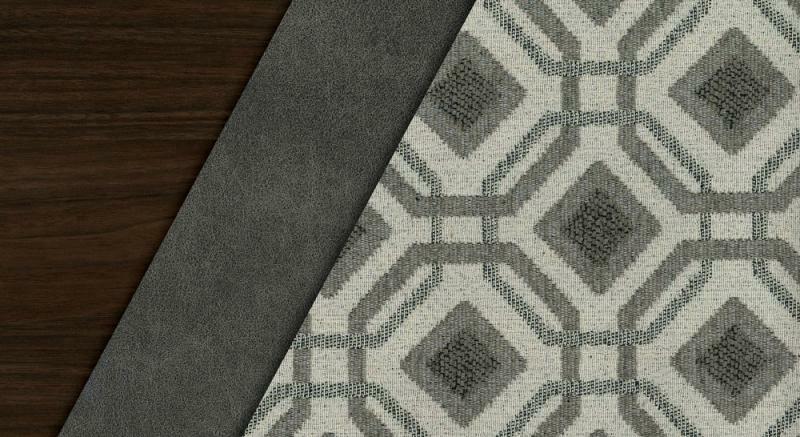 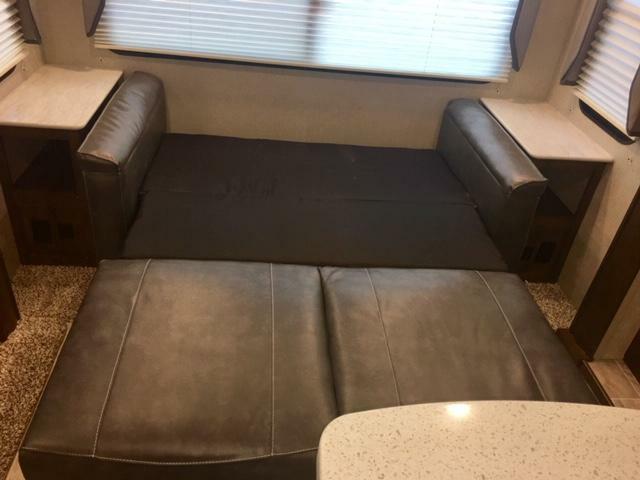 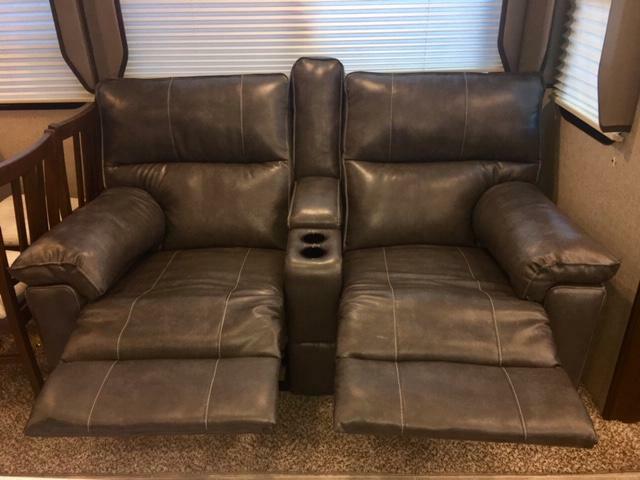 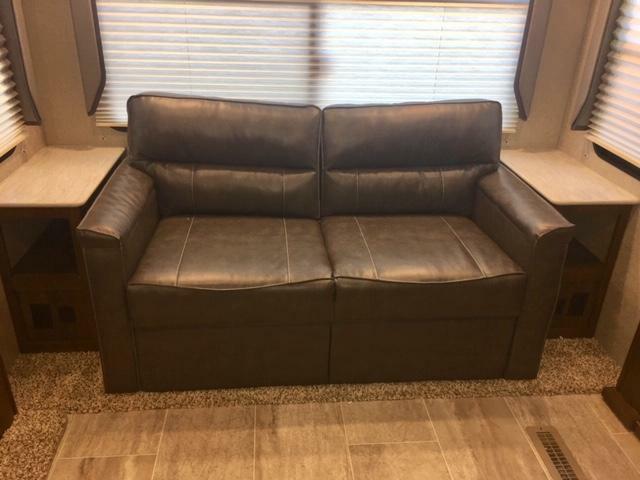 There are several furniture seating choices such as the popular theater seats for two, tri-fold sofa, and booth dinette. 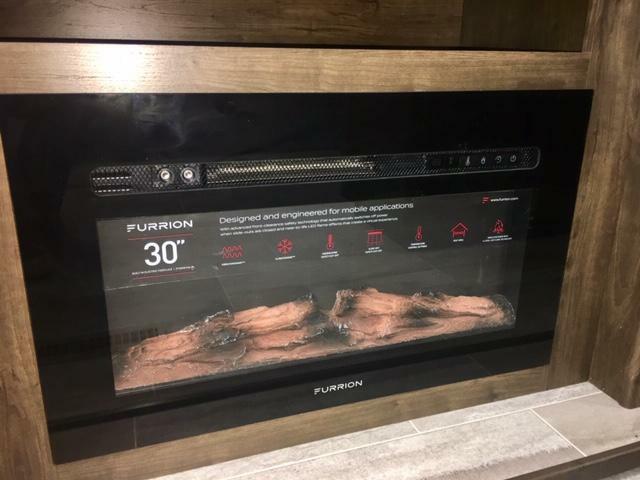 You are sure to enjoy the warmth from the glass fireplace on those chilly nights. 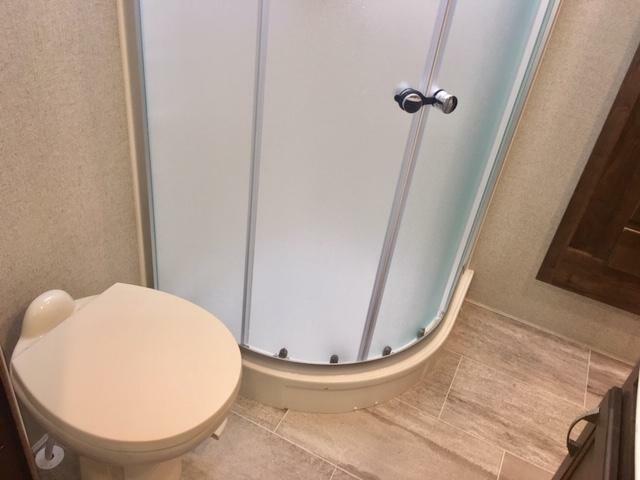 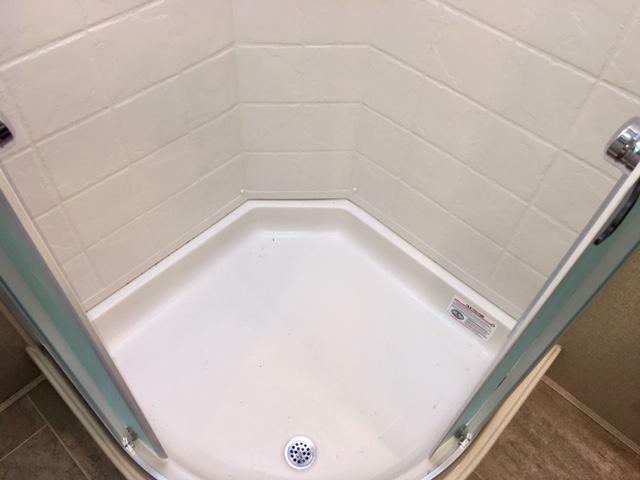 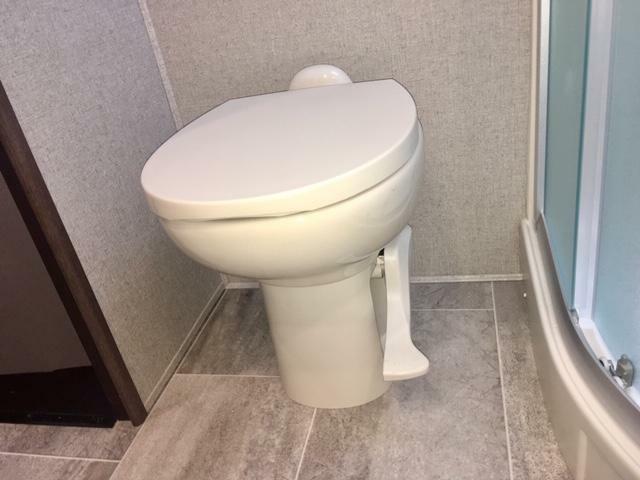 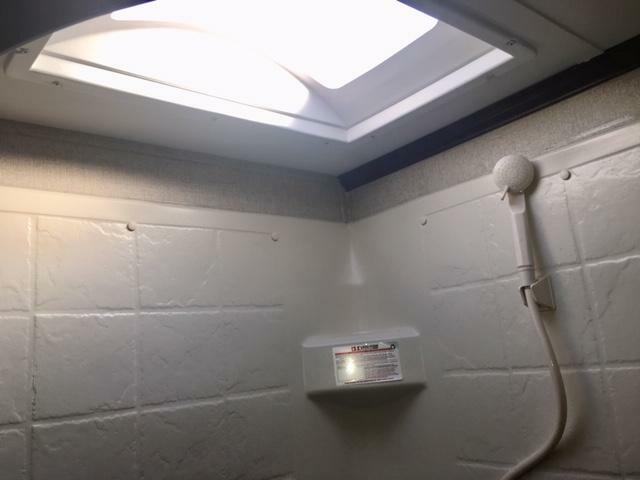 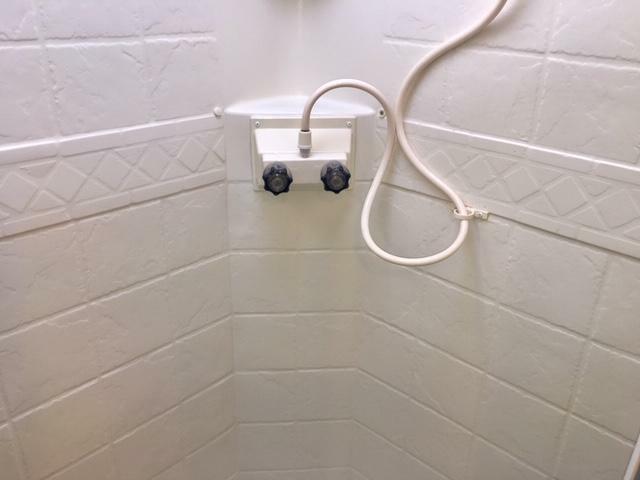 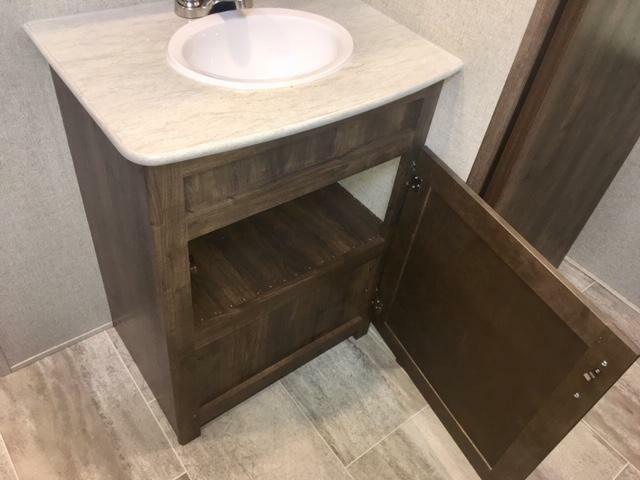 The dual entry bathroom provides a convenience you didn t even know you needed until you have it! 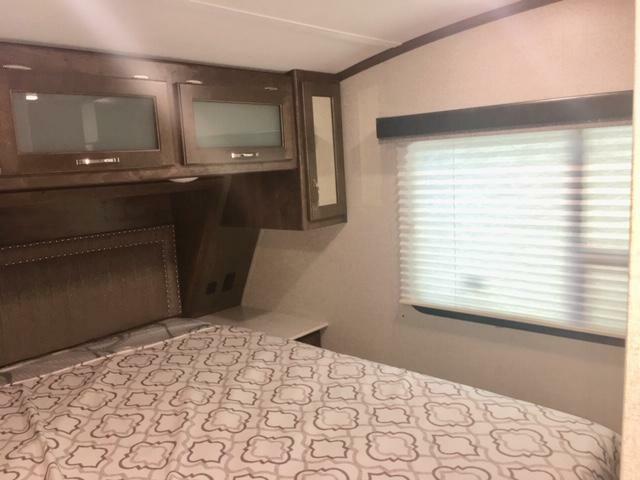 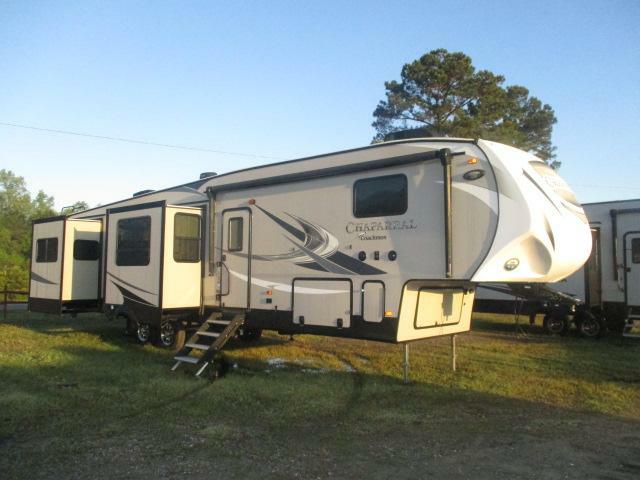 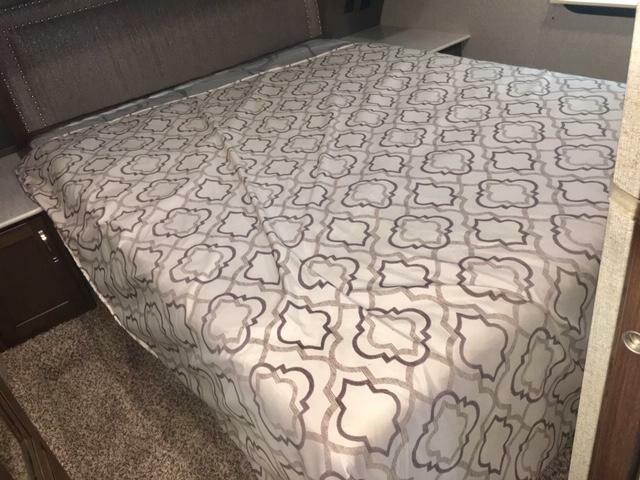 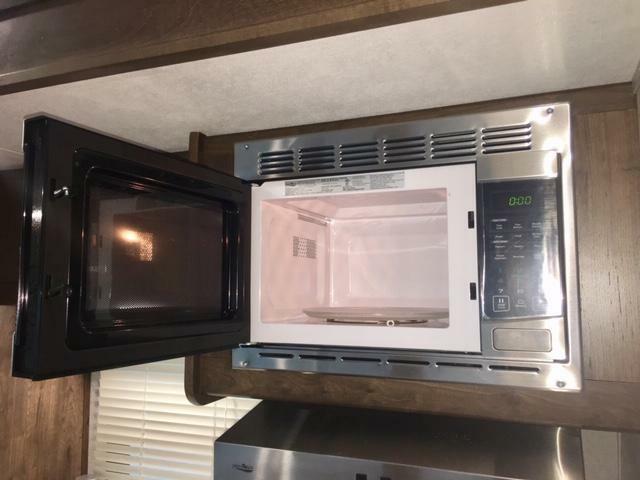 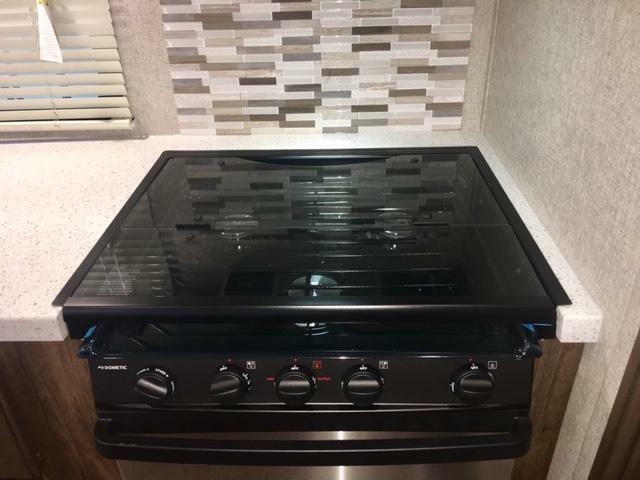 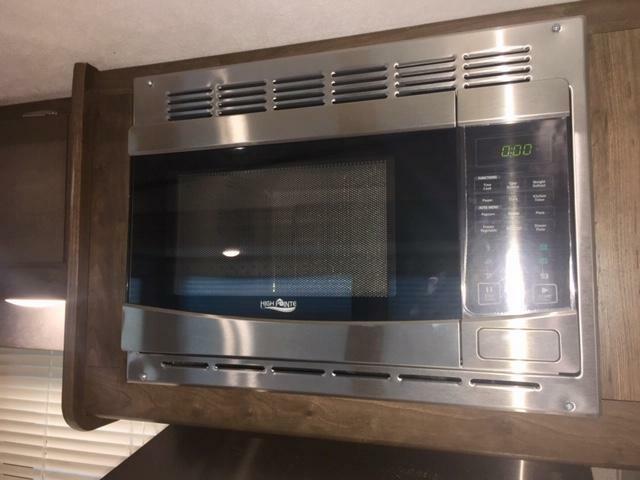 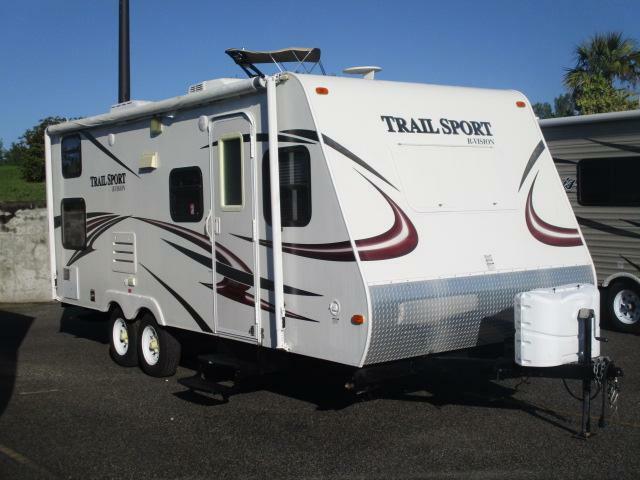 With any You can enjoy luxury inside with a queen size bed in the master bedroom and the stainless steel appliances including a glass top three burner range top with 21 oven in the kitchen. 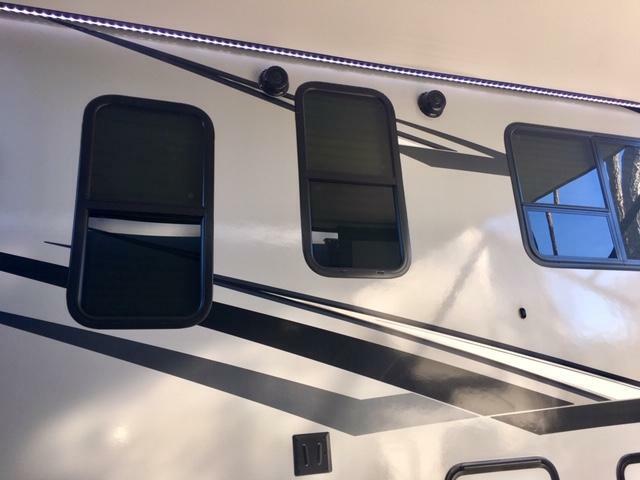 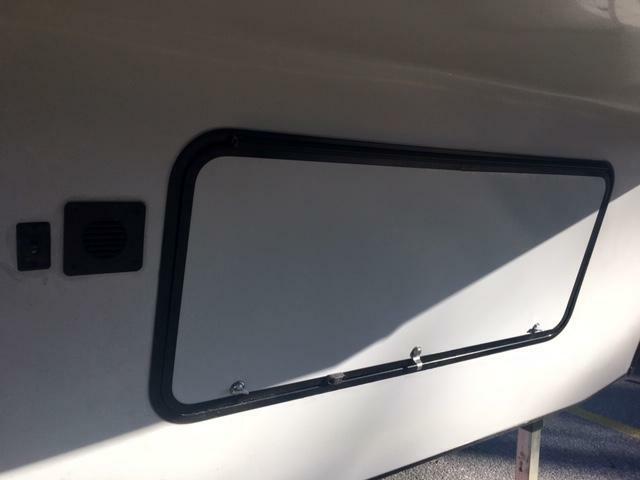 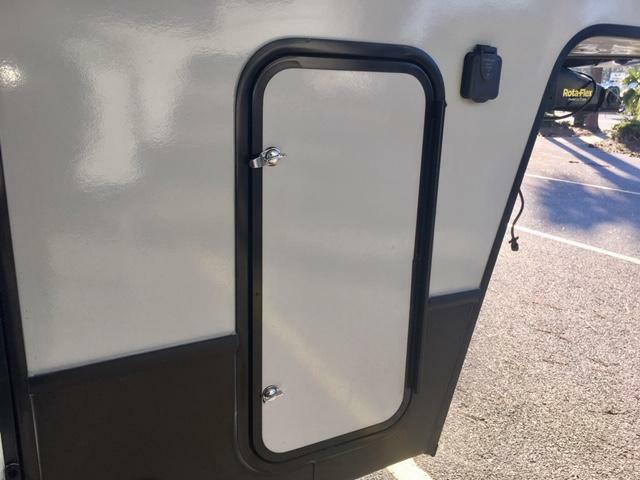 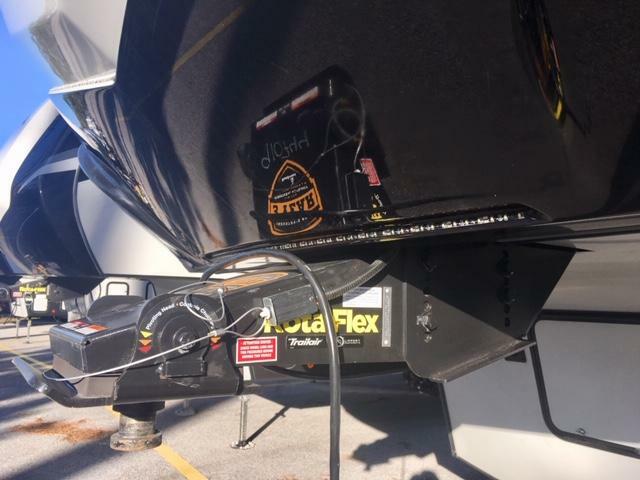 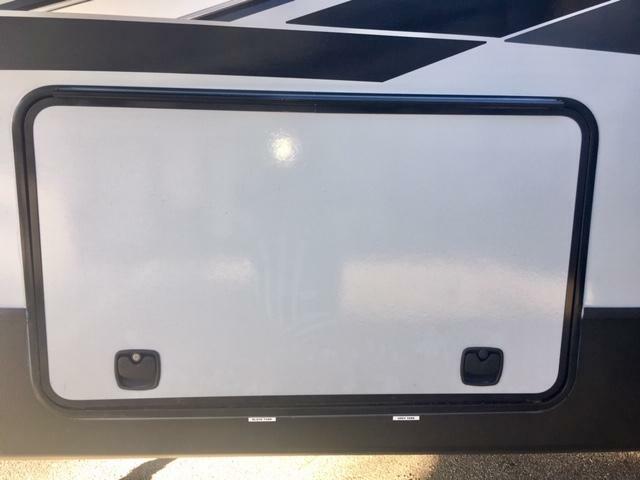 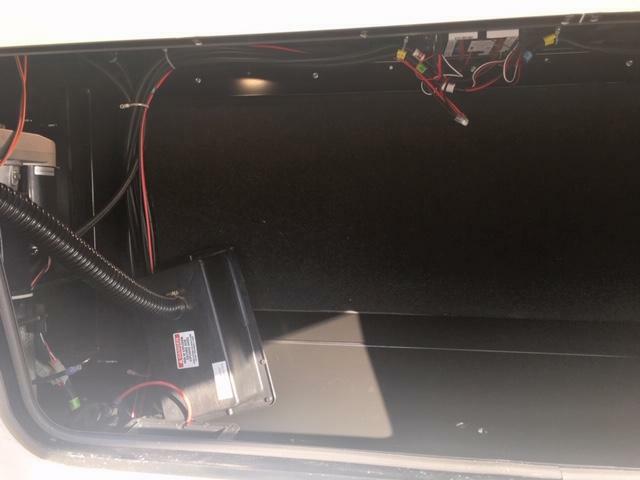 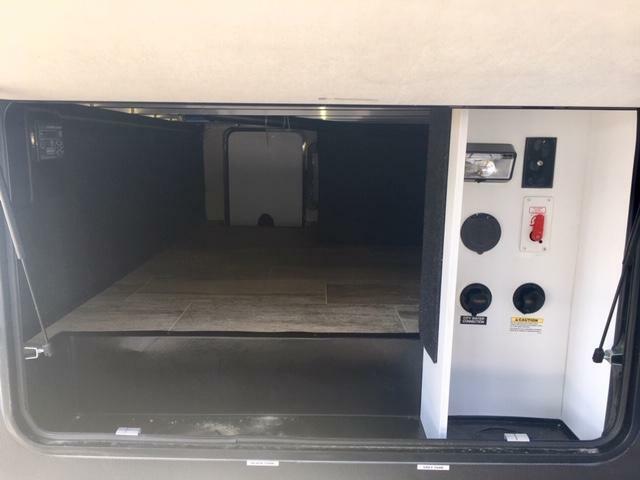 Outside you will find easy set up with the one touch automatic leveling system, and a safe entry with the hybrid aluminum entry triple steps. 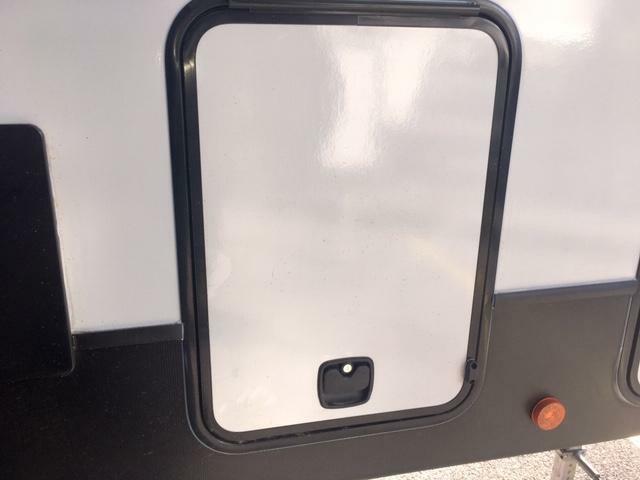 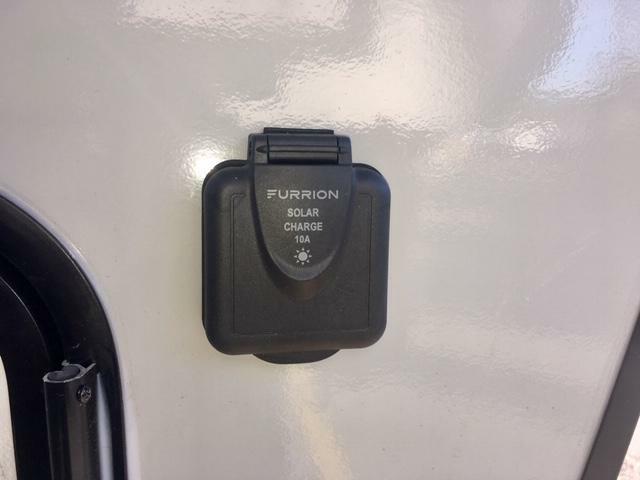 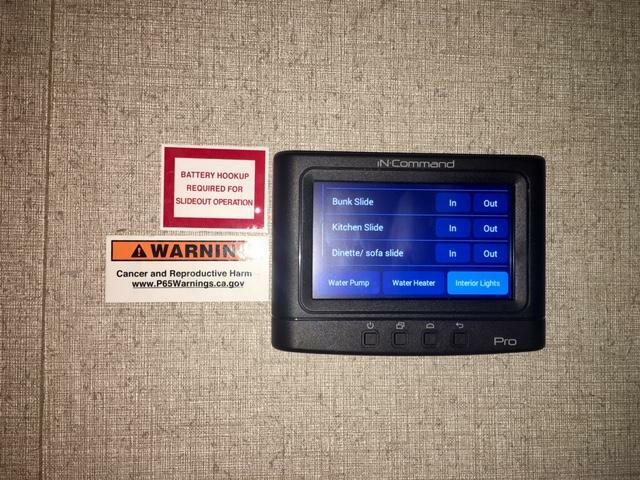 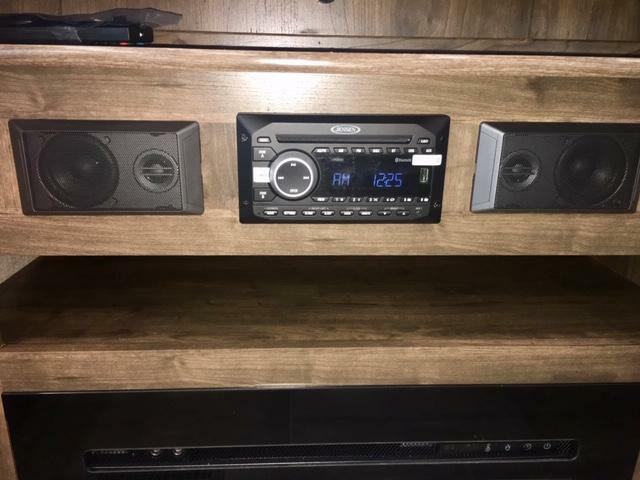 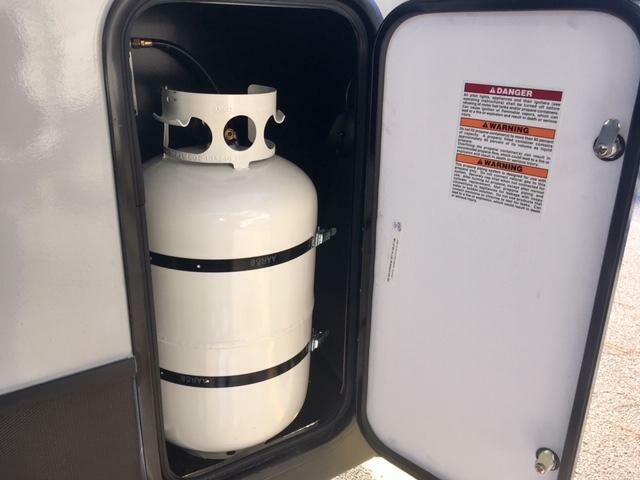 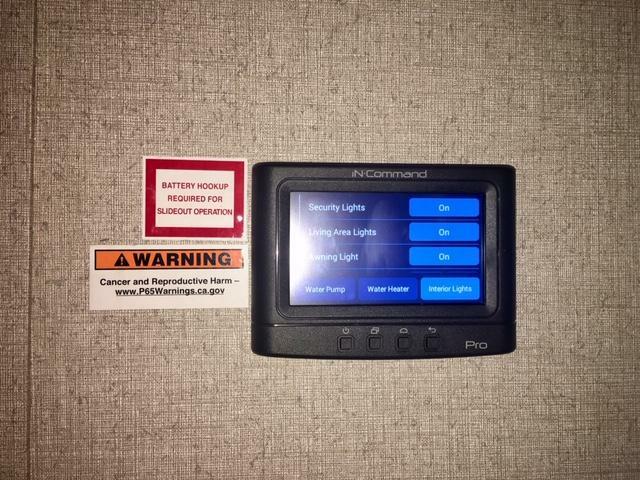 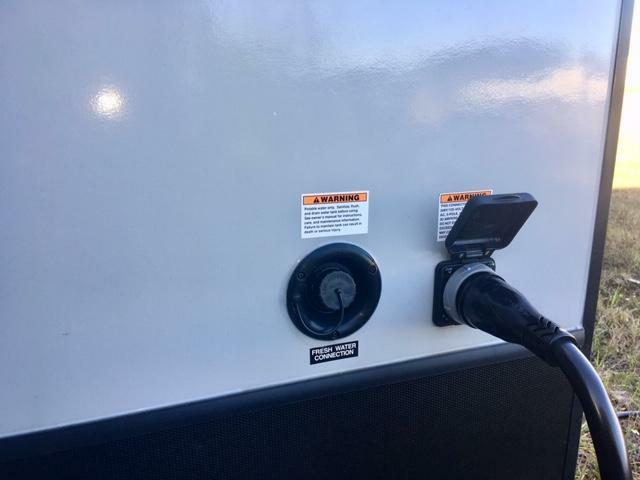 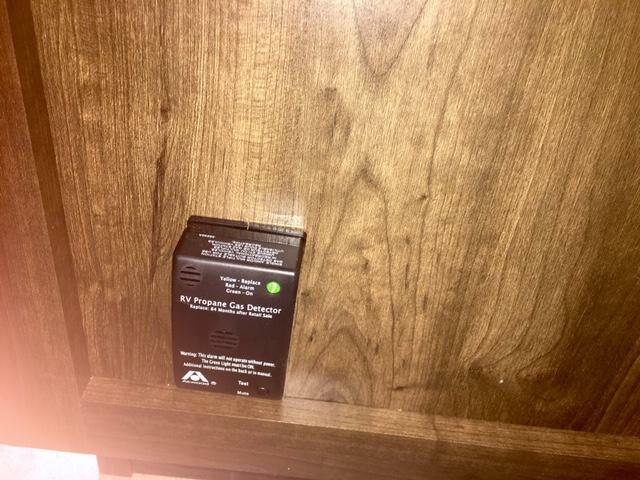 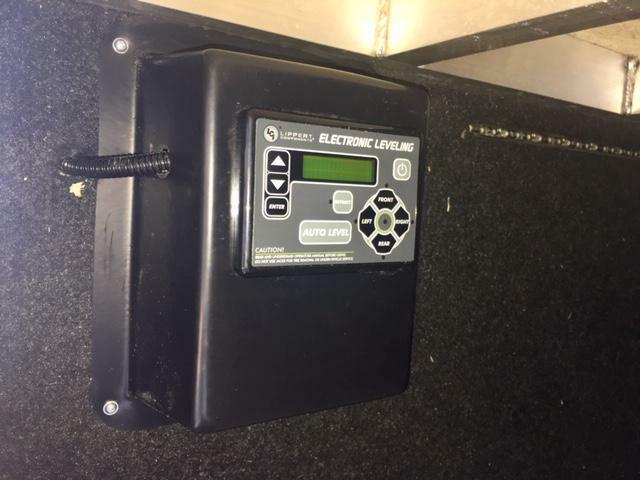 The iN Command remote operating system with Bluetooth connectivity and Industry s best 3 year limited structural warranty are a few more standard features you can appreciate! 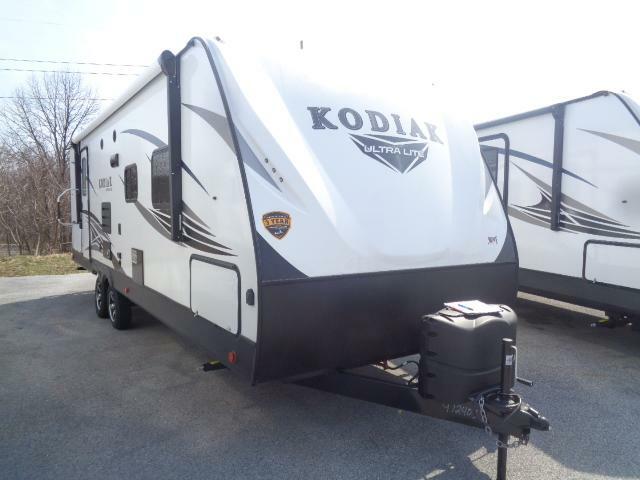 Stop in today with your trade & ask about our special financing!